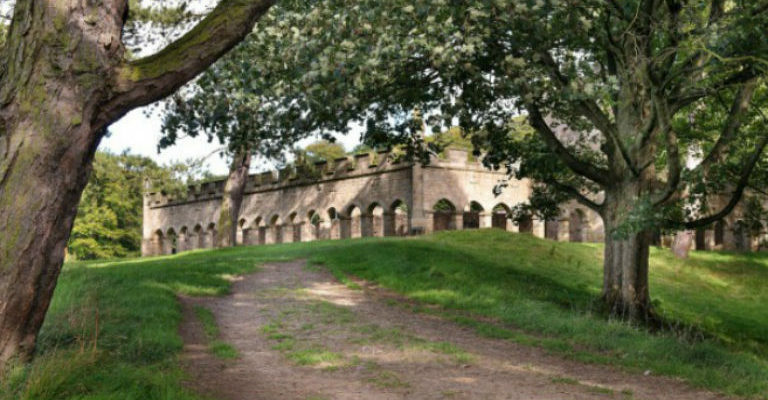 Chase Park is much loved by the Whickham community, and its stone walls, mature tree coverage, attractive gardens and old windmill help to contribute to the character of Whickham. 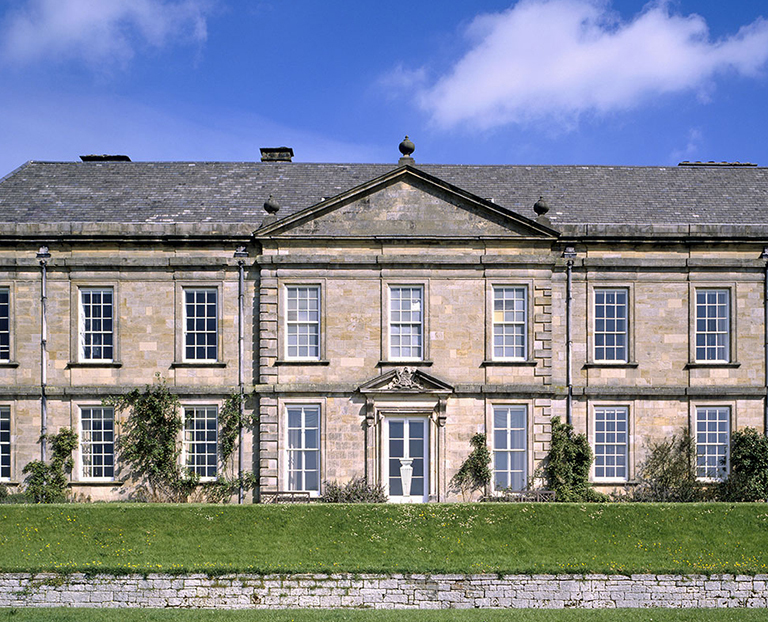 Cheeseburn supports creative projects and presents sculpture in the elegant grounds of Cheeseburn Grange in Northumberland. 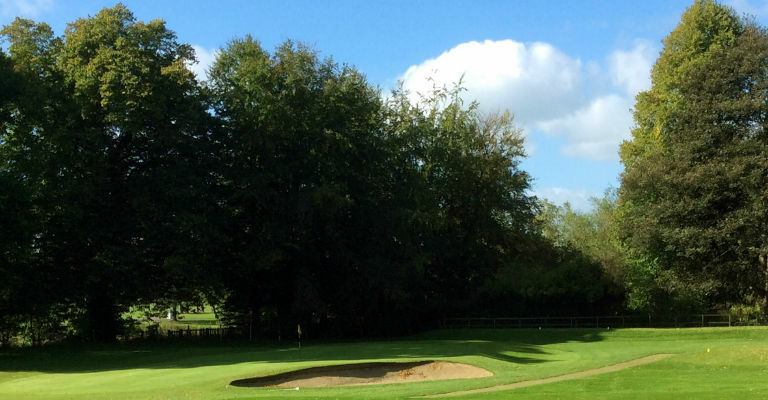 The modern club is proud of its heritage and there is always a warm welcome from staff & members for any golfer who would enjoy playing the course which is fit for a King. 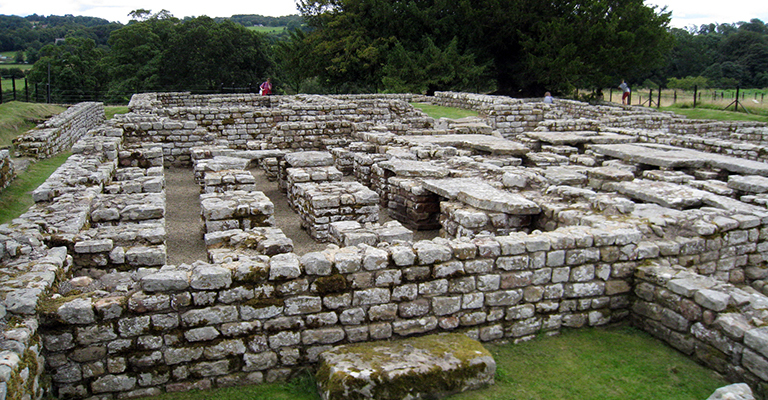 A place to relax on Hadrian's Wall for both Roman and modern visitors, Chesters is home to a spectacular Roman Bathhouse. 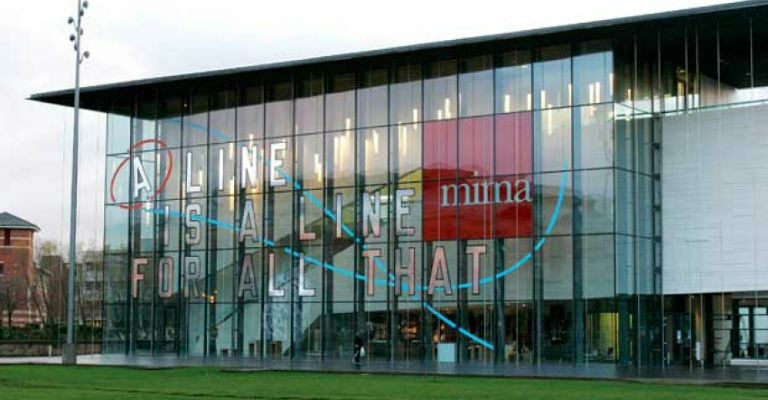 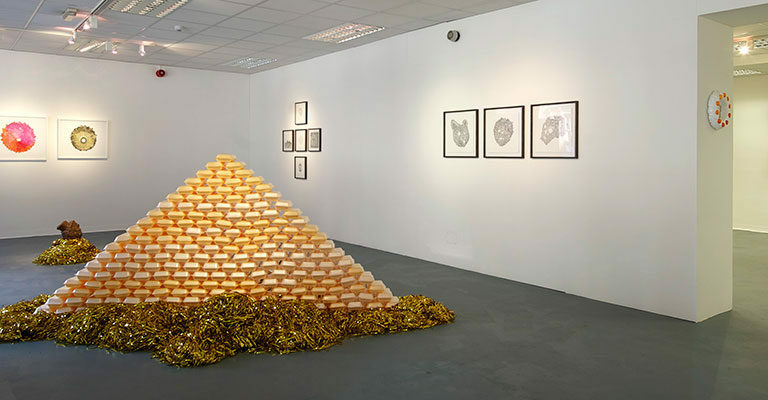 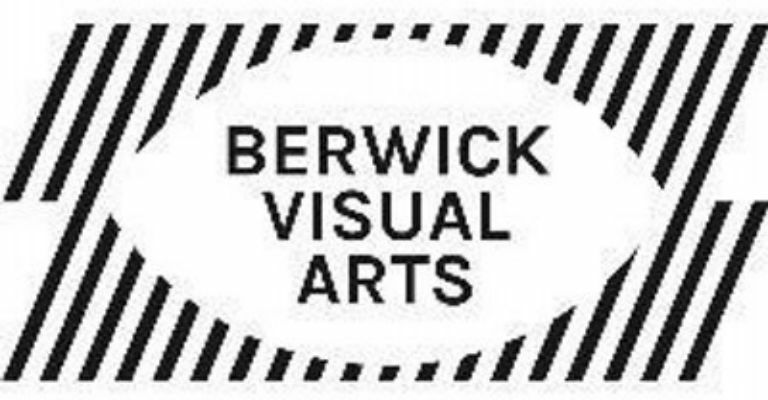 CIRCA Projects is a non-profit arts organisation, active since 2009, that produces contemporary art exhibitions and events for audiences in the north east of England. 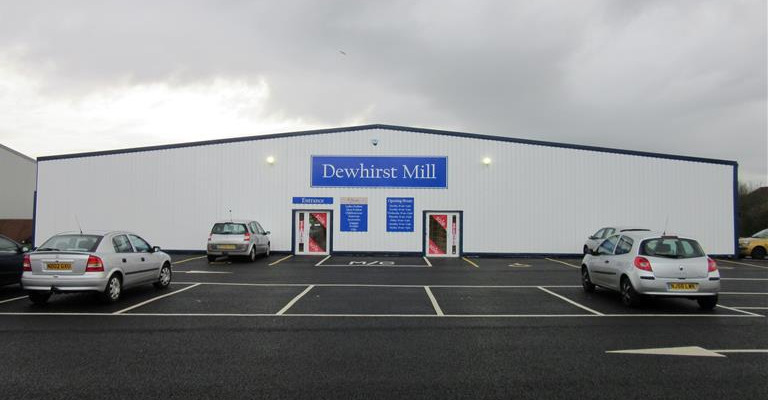 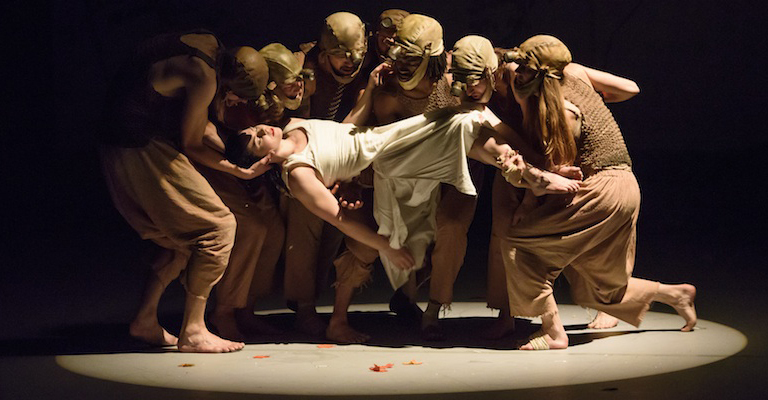 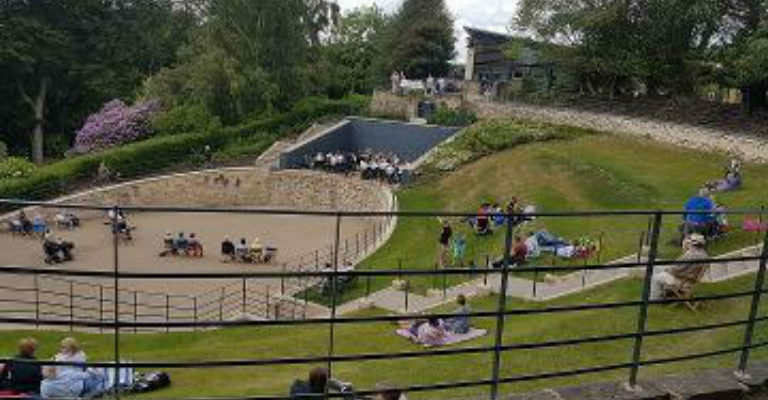 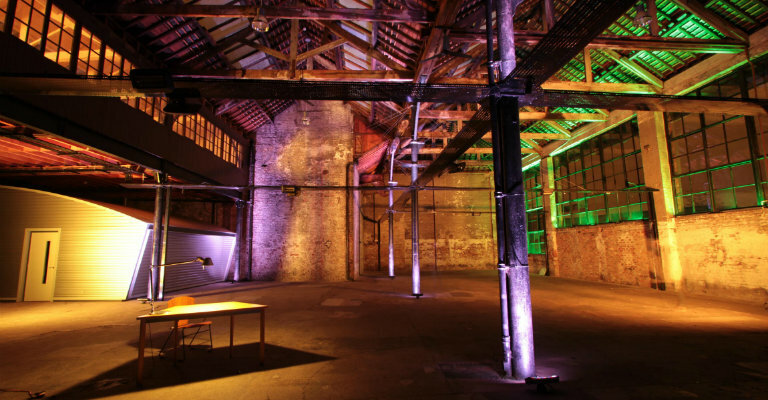 A venue for all occasions including theatre, exhibitions and corporate hire. 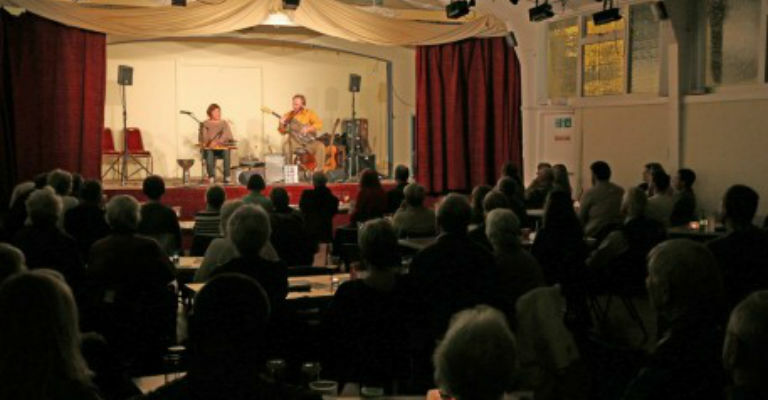 Cluny 2 is a theatre-style venue and bar which is suitable for gigs, parties and theatre events. 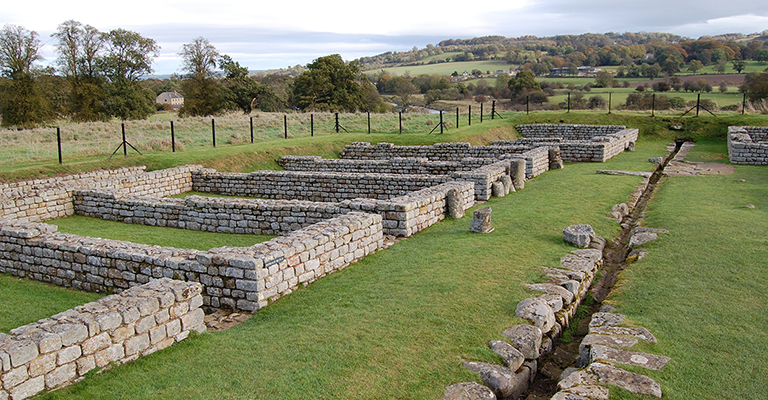 Not all the sites on Hadrian's Wall were heavily guarded fortresses. 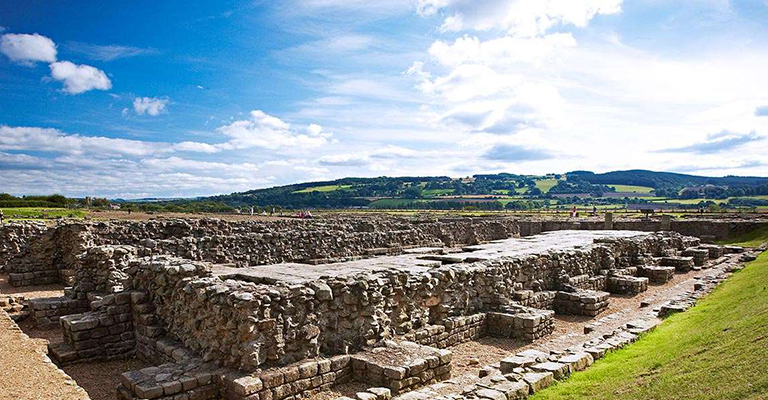 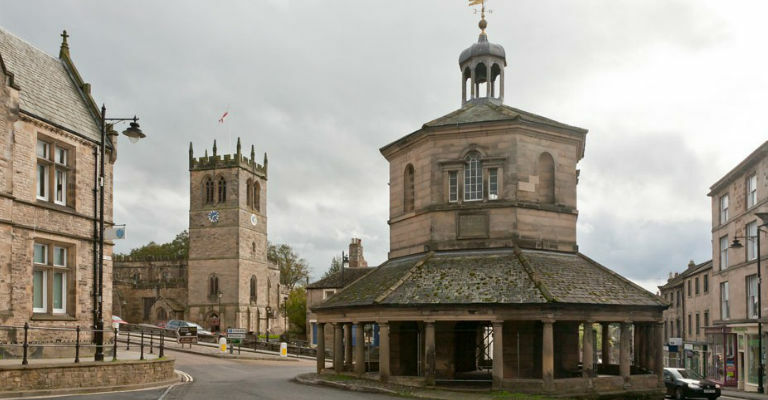 Corbridge was once a bustling town and supply base where Romans and civilians would pick up food and provisions. 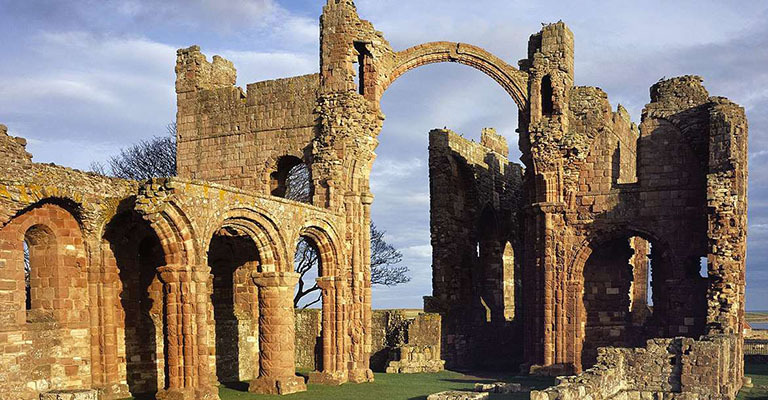 It remained a vibrant community right up until the end of Roman Britain in the early years of the 5th century. 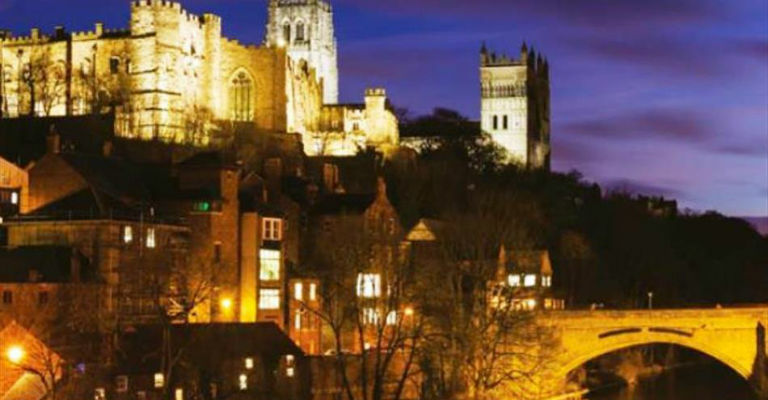 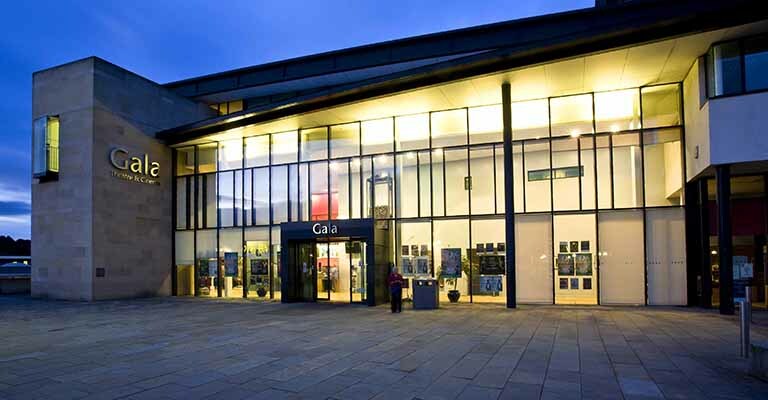 The centrepiece of Durham’s arts programme, the Gala Theatre is situated in a beautiful, purpose-built, £15m building on the banks of the river Wear in the heart of this historic city. 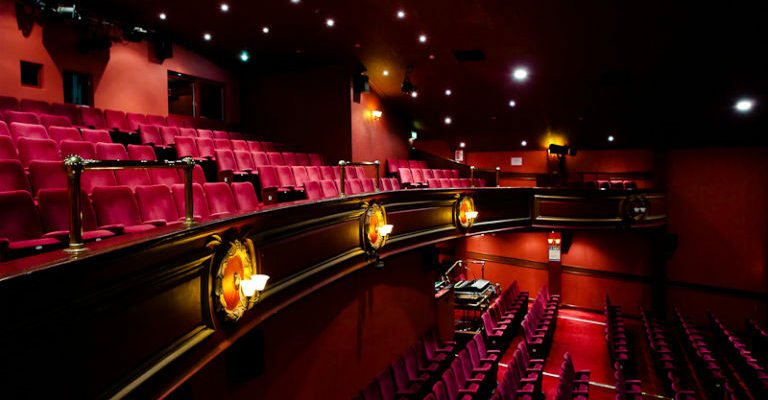 The venue houses a state-of-the-art modern theatre, spacious and comfortable café-bar, two cinema screens and superb conference facilities. 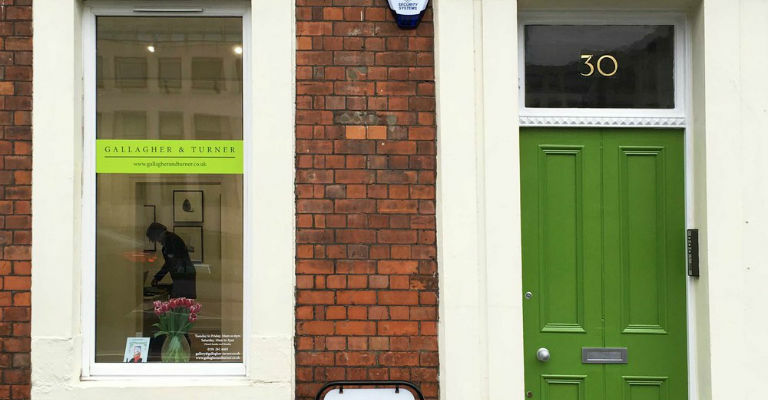 Welcome to Gallagher & Turner, specialist picture framer and art gallery. 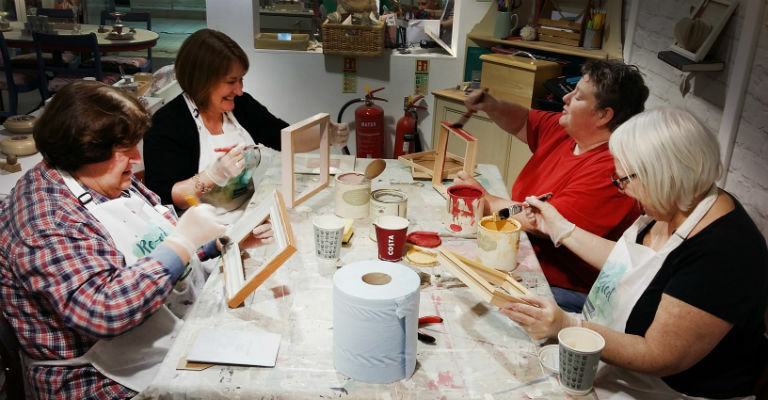 Gallery 45 is a relative newcomer to the arts and crafts scene in Northumberland. 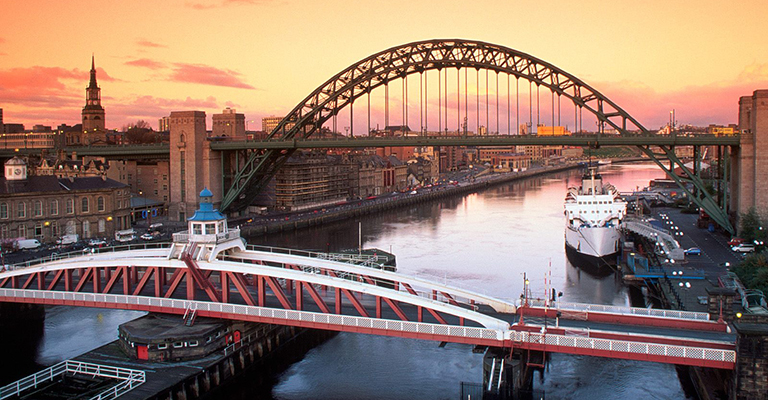 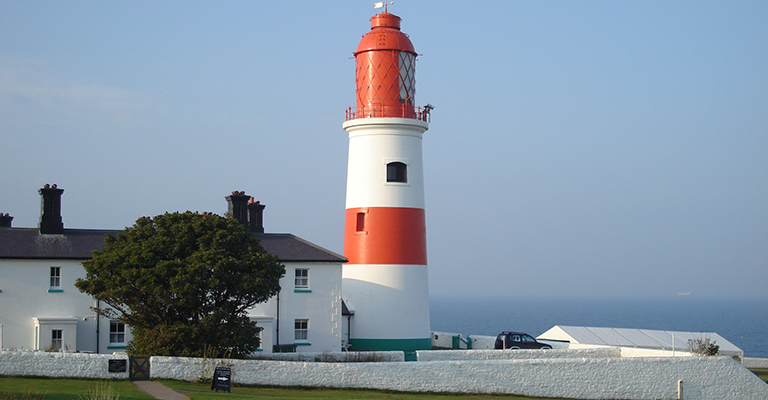 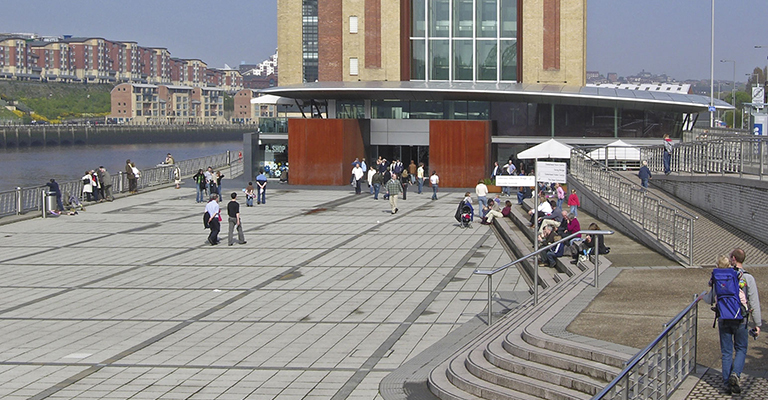 Gateshead is a large town in Tyne and Wear, England, and the main settlement in the Metropolitan Borough of Gateshead. 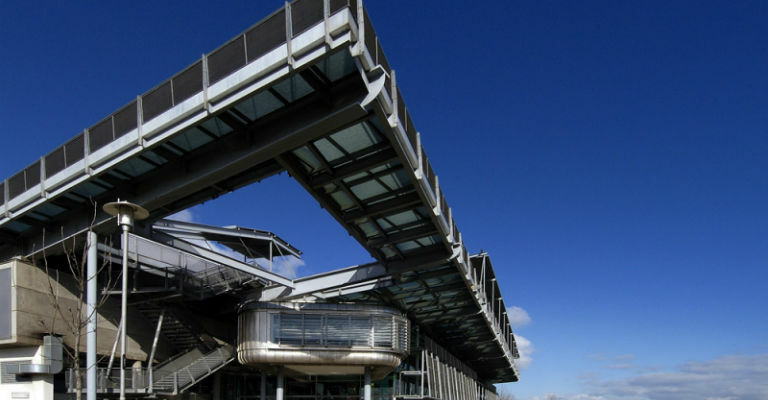 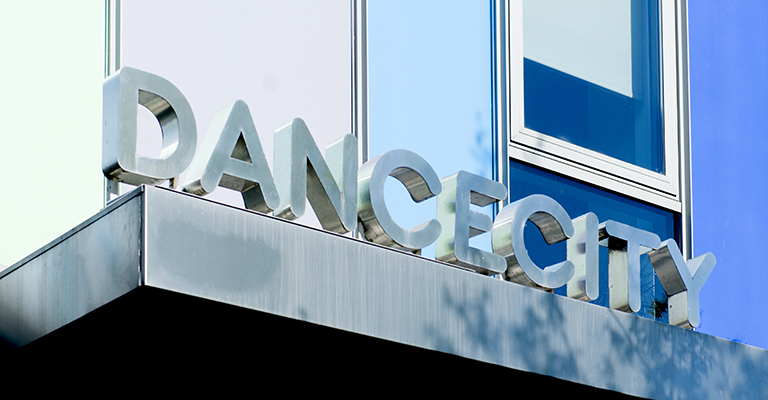 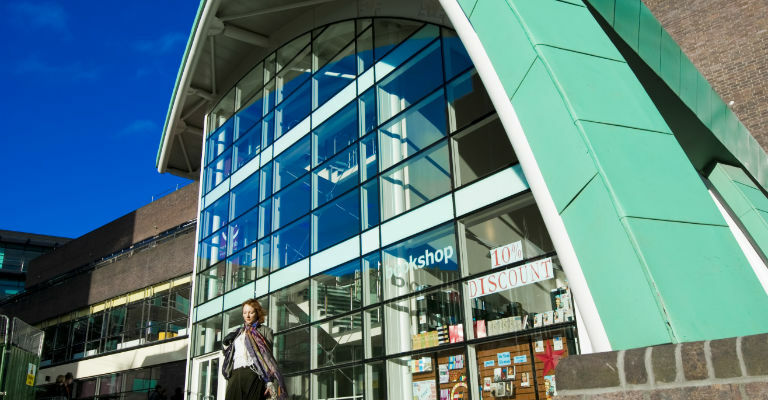 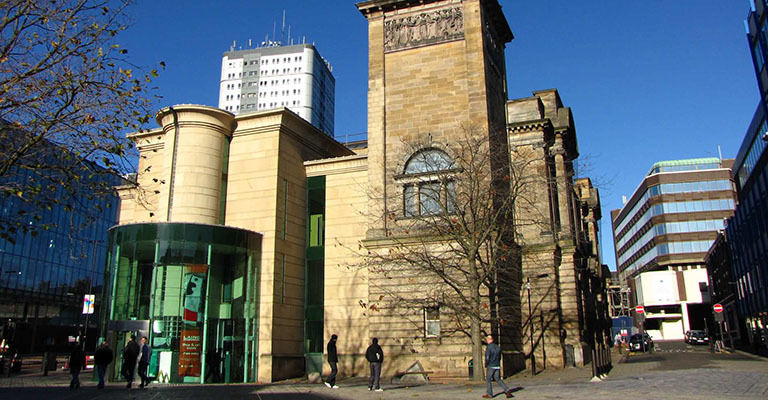 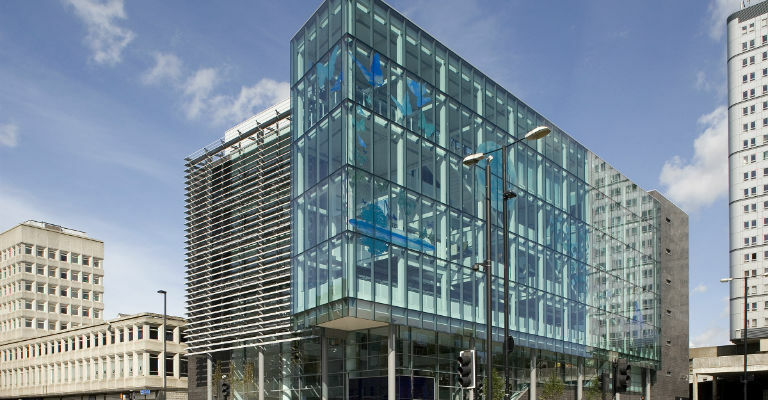 Gateshead's Central Library boasts a wide range of facilities. 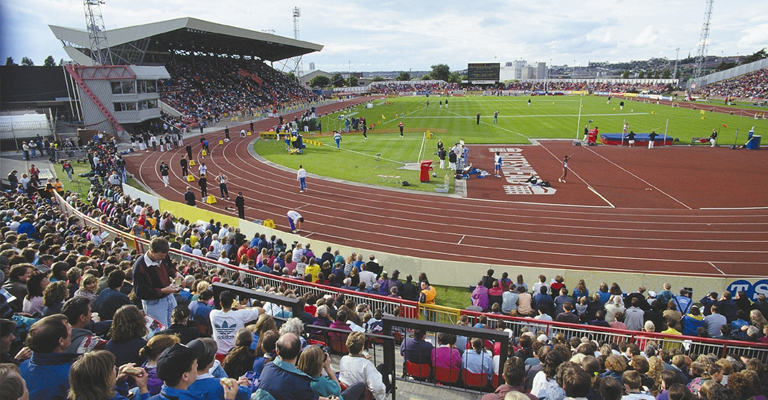 Gateshead International Stadium (GIS) is a multi-purpose, all-seater venue in Gateshead. 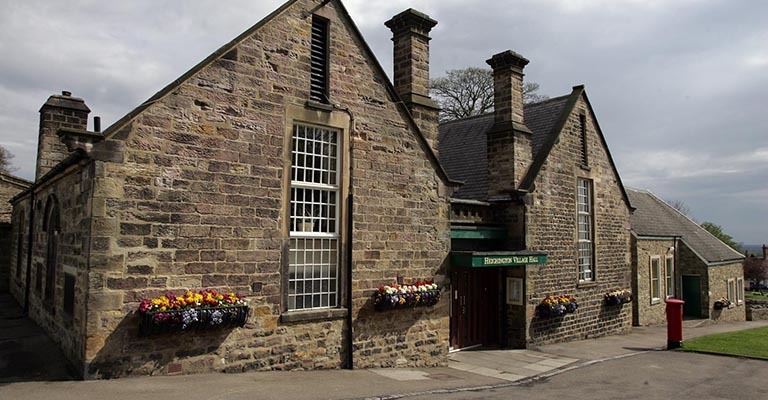 The Great North Museum: Hancock was purpose built in Newcastle as a natural history museum in 1884 to house the growing collections of the Natural History Society of Northumbria. 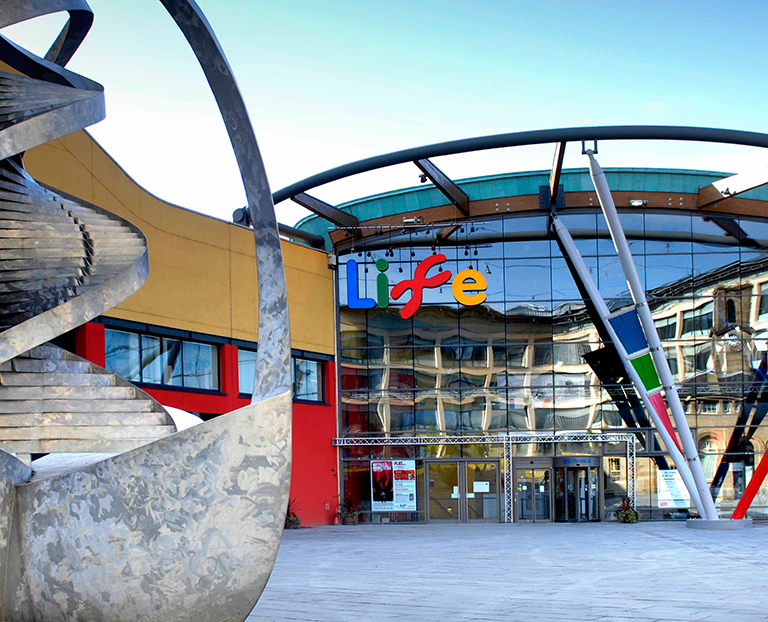 Is is a popular free family destination with a varying programme of exhibitions, expert talks, courses and activities for children. 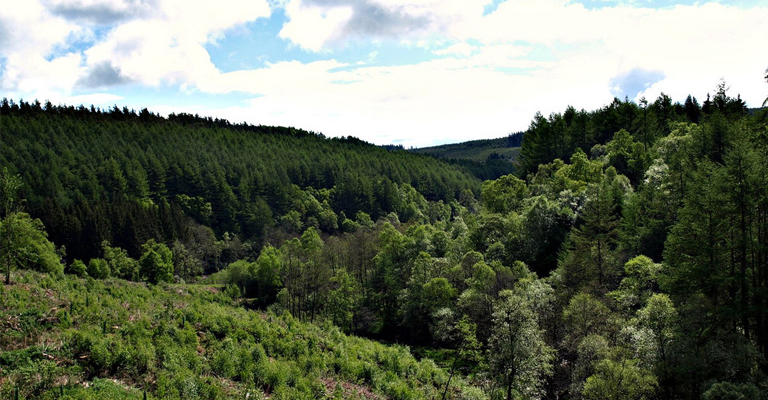 Hamsterley Forest is a delightful 2000 hectare oasis, sprawling along the sides of a sheltered valley. 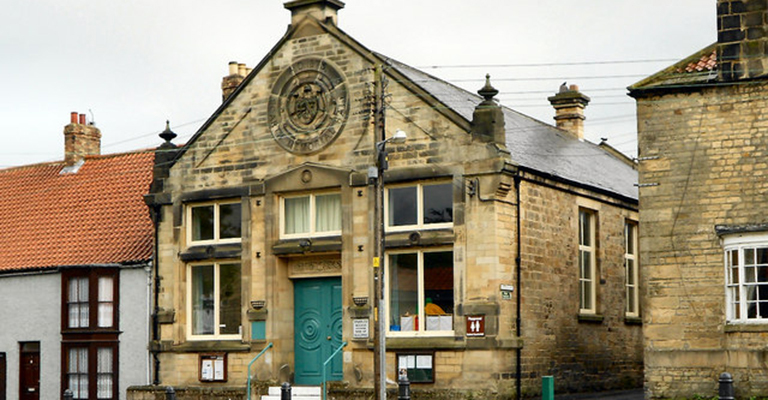 The village hall was originally built as a school in 1822 and was converted to a village hall in 1967. 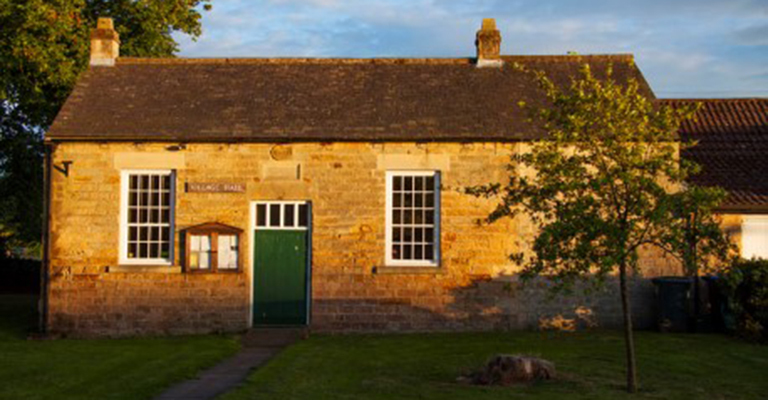 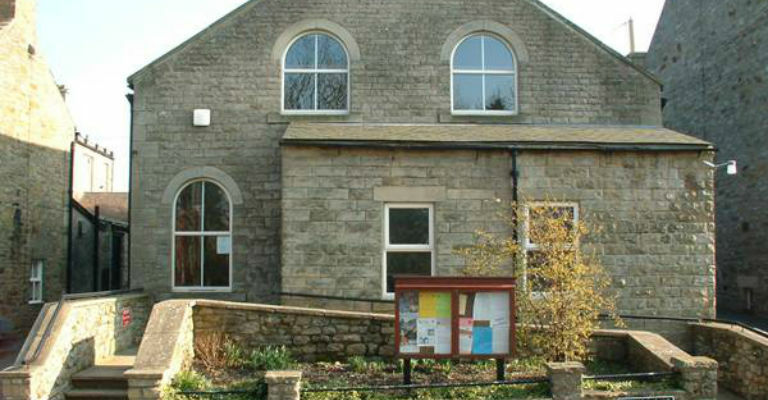 The size and layout of the Hamsterley Village Hall make it an ideal choice for private and business functions. 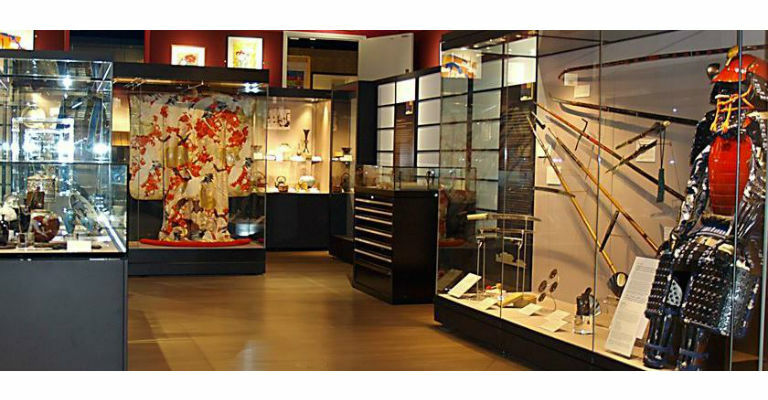 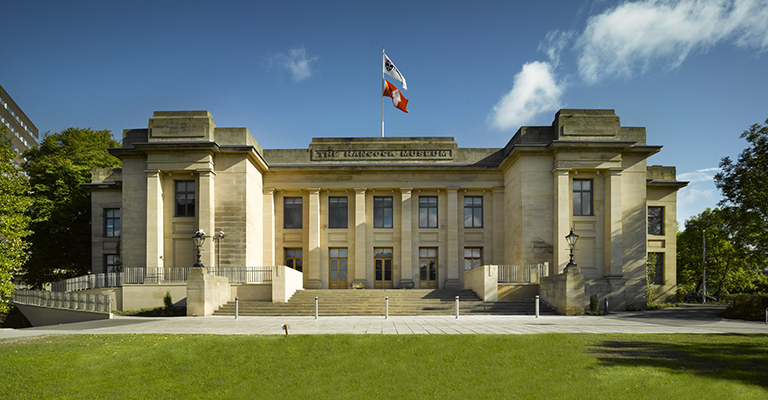 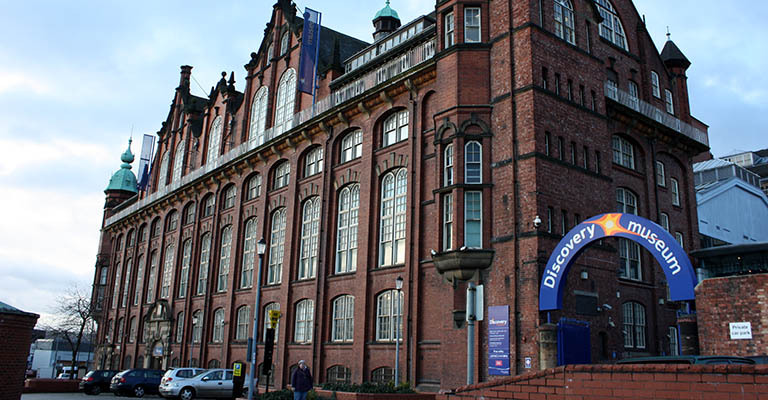 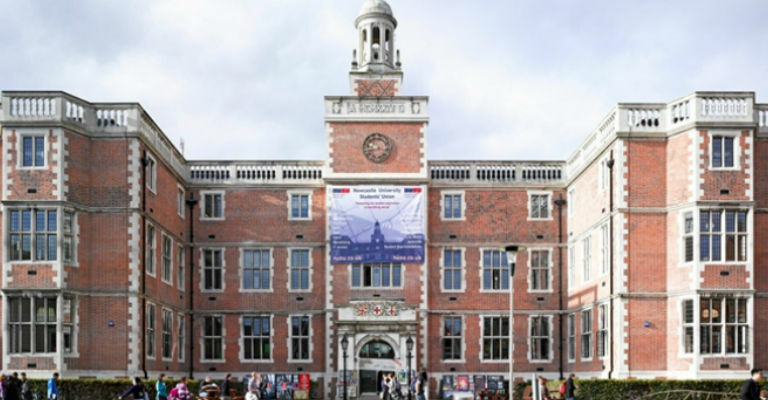 The Hatton Gallery is Newcastle University's art gallery in Newcastle upon Tyne, England. 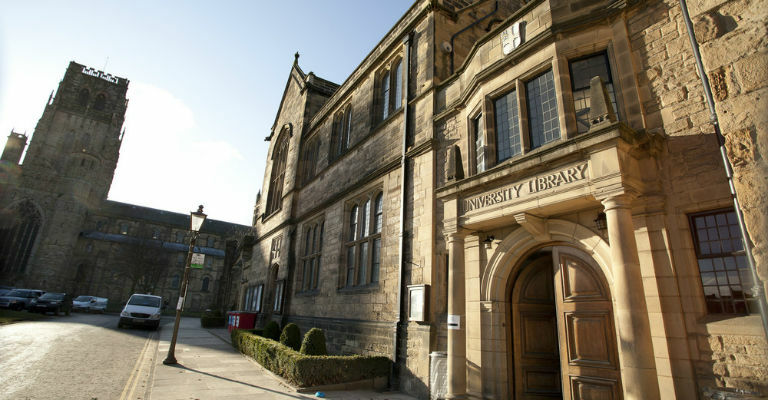 It is based in the University's Fine Art Building. 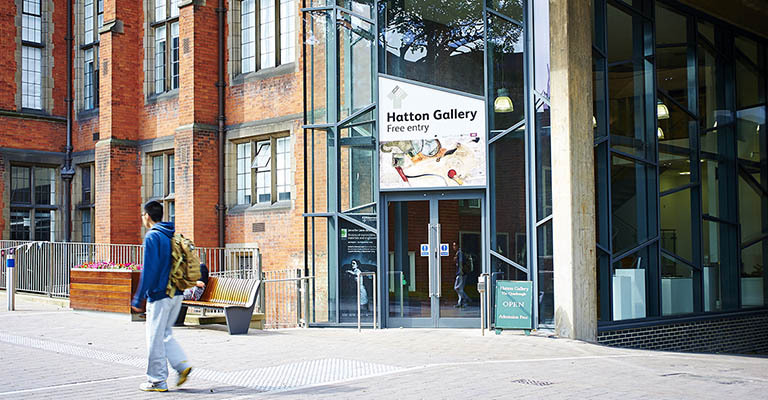 The Hatton Gallery closes in February 2016 for a £3.5 million redevelopment and will reopen in 2017. 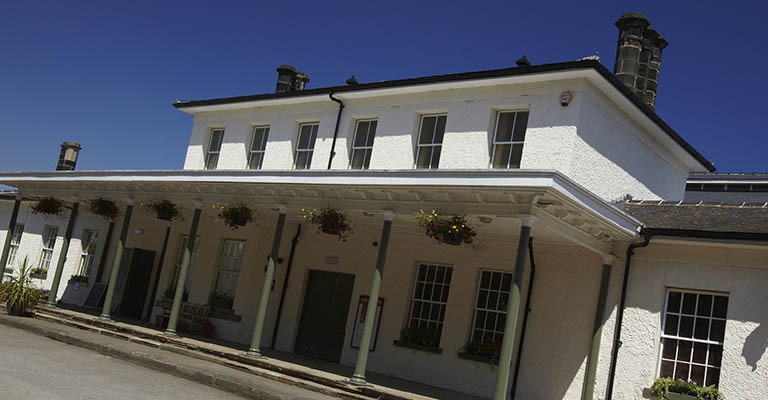 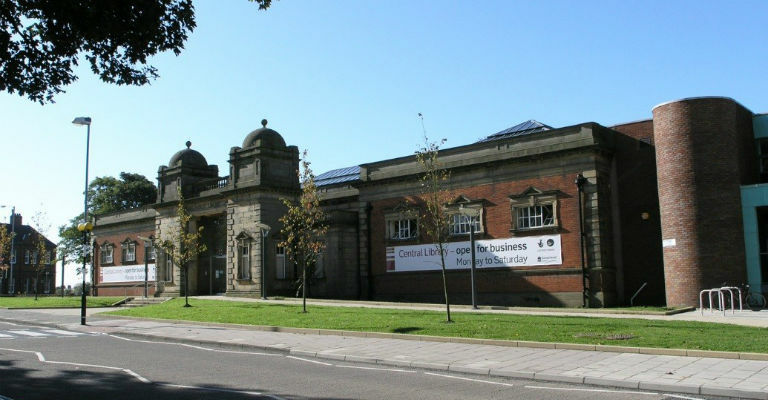 Head of Steam, formerly known as the Darlington Railway Centre and Museum, is a railway museum that is located on the 1825 route of the Stockton and Darlington Railway, which was the world's first steam-powered passenger railway. 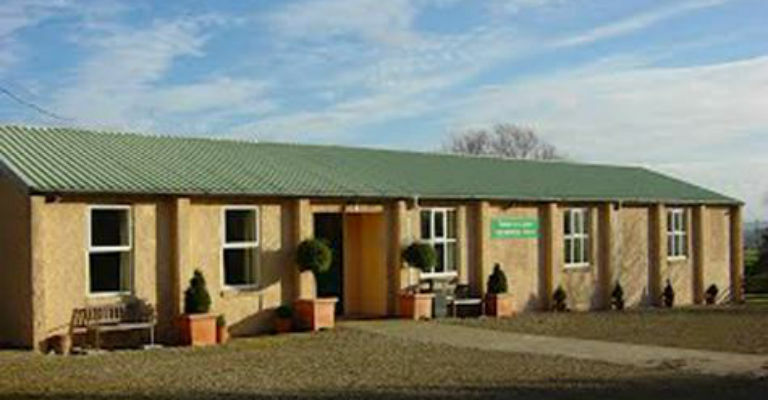 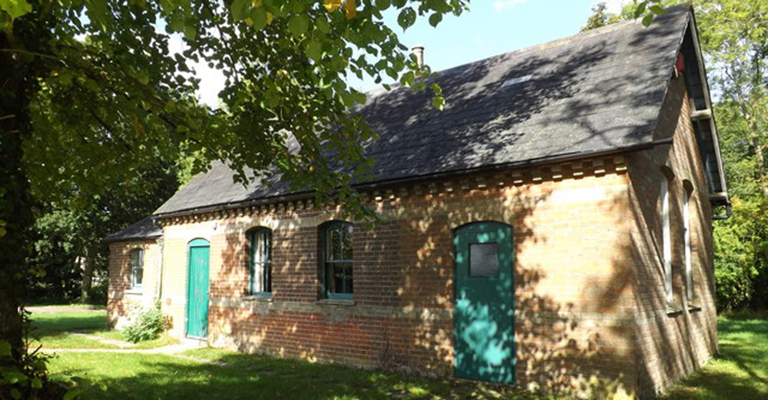 Heighington Village Hall is a centre for the local community and a fabulous venue for parties, weddings and events. 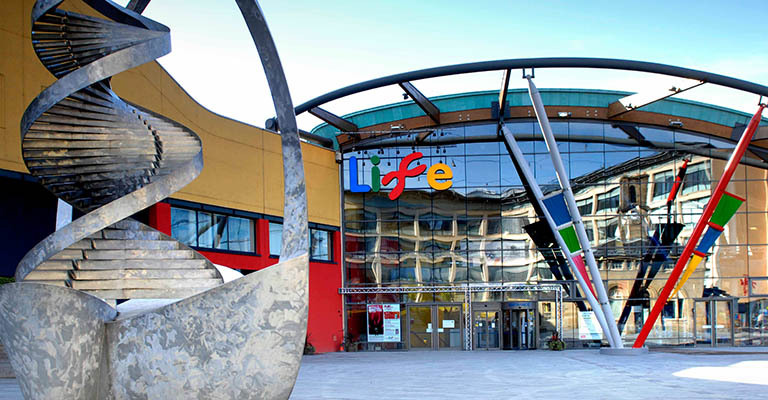 Manor Walks Shopping Centre in Cramlington is Northumberland's largest shopping centre. 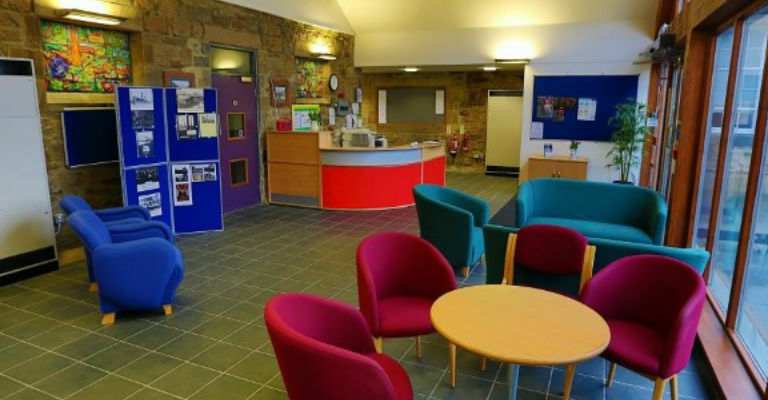 Whether it's fitness, sport or family fun that inspires your visit, Meadowfield Leisure Centre has a range of activities including gym, exercise classes, squash and a 3G pitch. 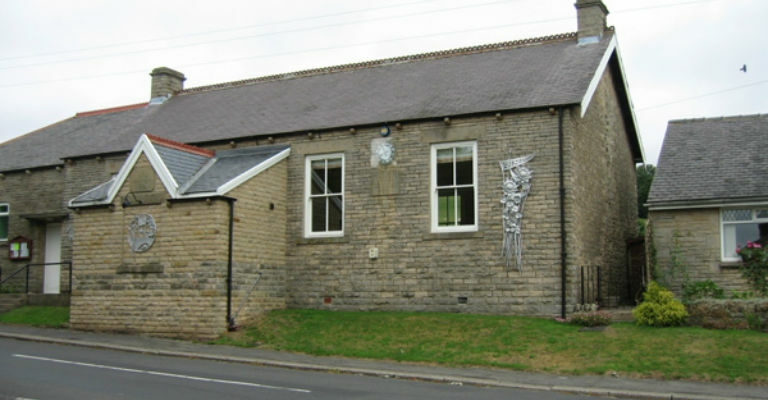 Mickleton Village Hall was built in 1993, on the site of the no-longer-habitable 100 year old Church Institute. 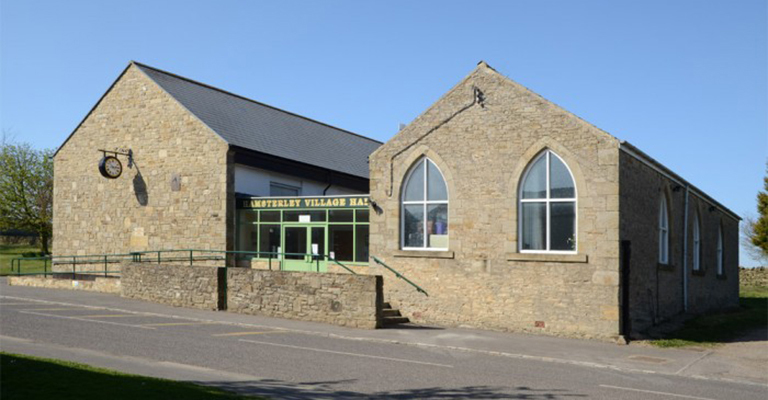 It's a full-sized, award winning hall, built in one year entirely by the enthusiastic efforts of virtually everyone in the village. 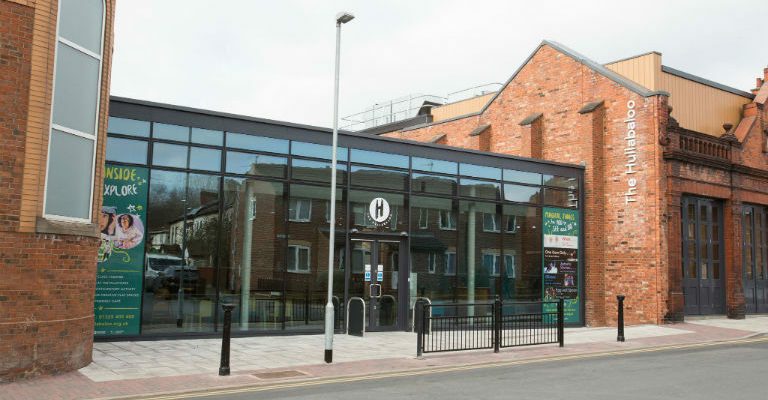 Glass making is a key element in the history of Sunderland, bringing together its religious, social and industrial heritage. 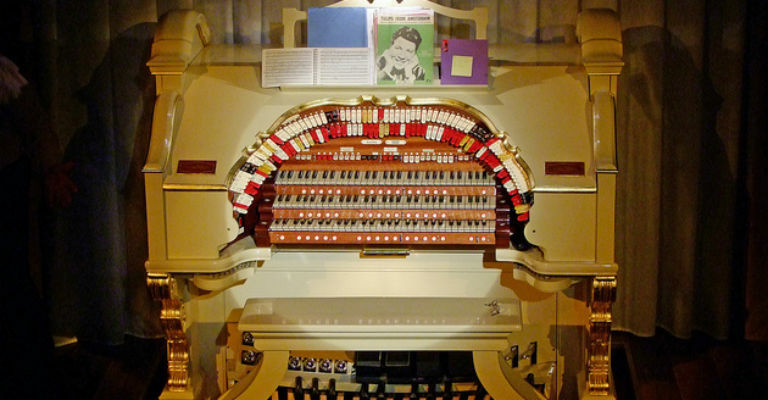 Experience the unique musical tradition of the ‘Mighty’ Wurlitzer theatre pipe organ, featuring one of the largest and most versatile instruments of its type in Europe. 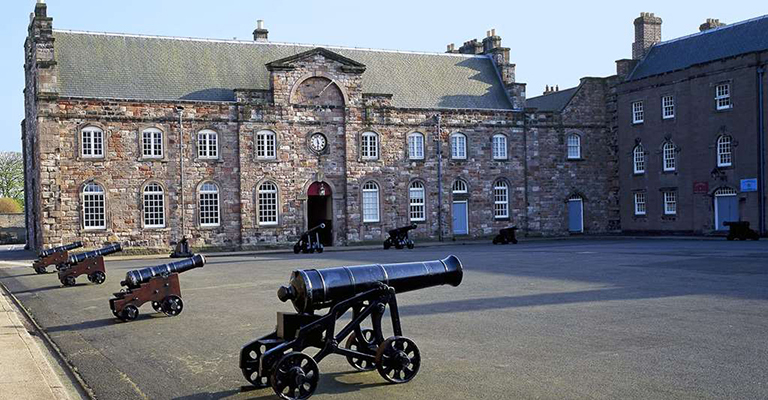 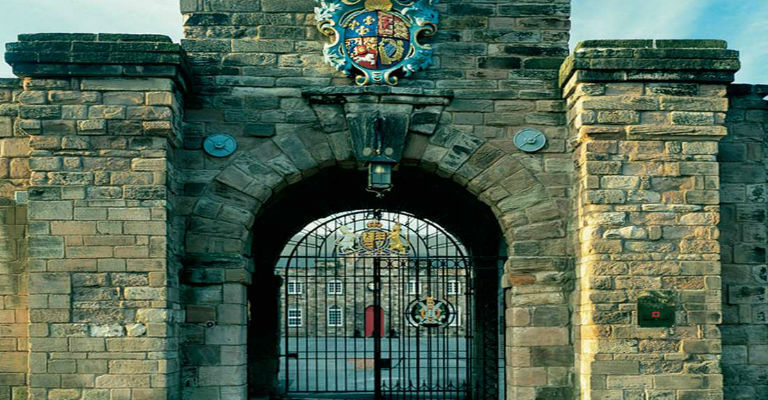 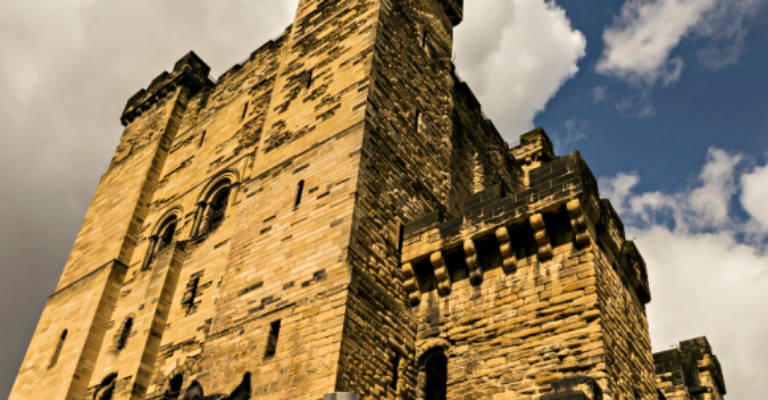 Newcastle's Castle Keep and Black Gate have reunited as a combined visitor attraction - Newcastle Castle. 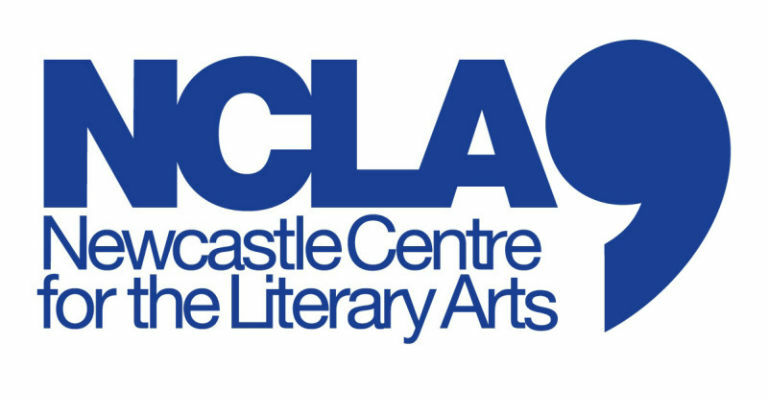 The NCLA programme brings writers from around the world to Newcastle to take part in readings, discussion and debate. 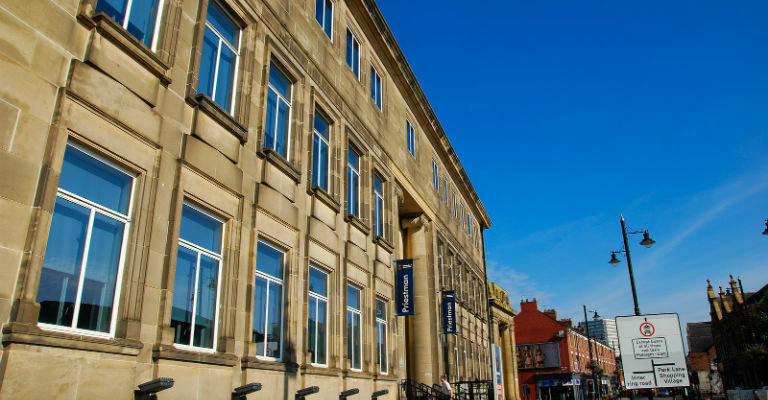 The new City Library building is named Charles Avison Building after the 18th century Newcastle composer. 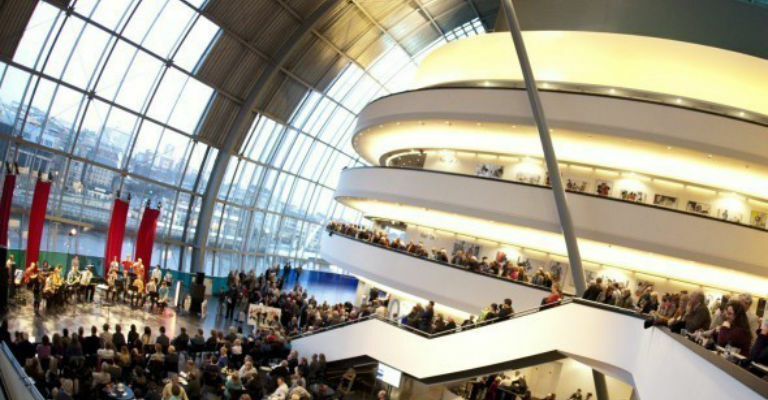 On Sunday 21 June 2009 the building was formally dedicated by Dr Herbert Loebl who unveiled a plaque in the library as part of the Avison Ensemble Young Musicians Awards. 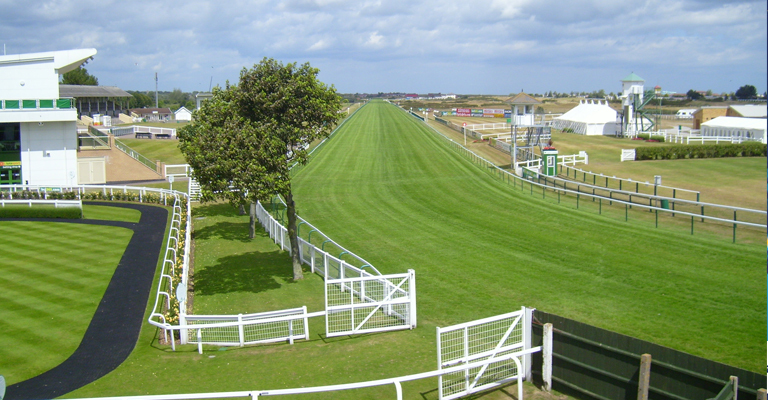 Newcastle Racecourse is one of the most popular tracks in the UK. 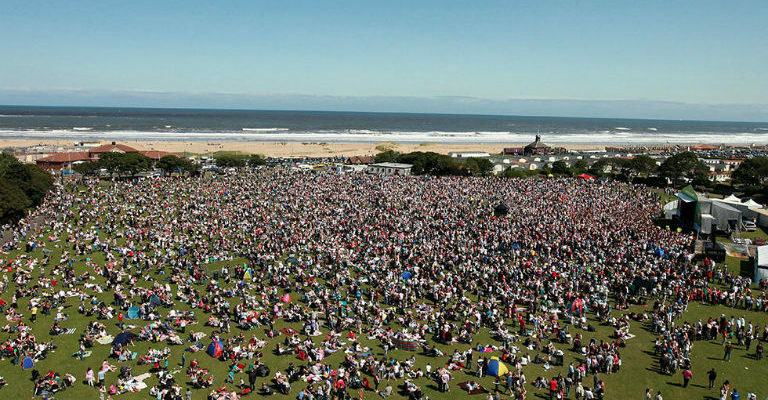 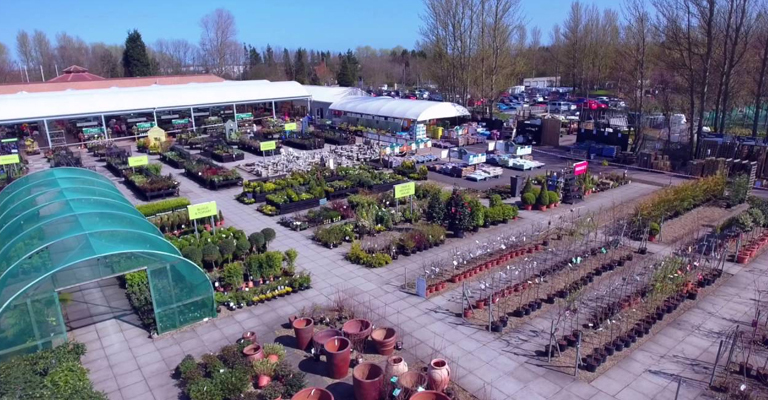 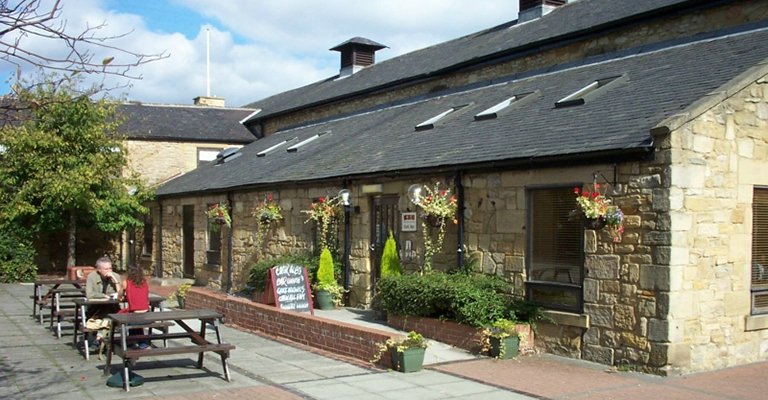 As well as first class racing, High Gosforth Park Estate is home to the Brandling House Conference & Banqueting facilities, Parklands Golf Complex, Goals Soccer Centre, and the Border Minstrel Public House. 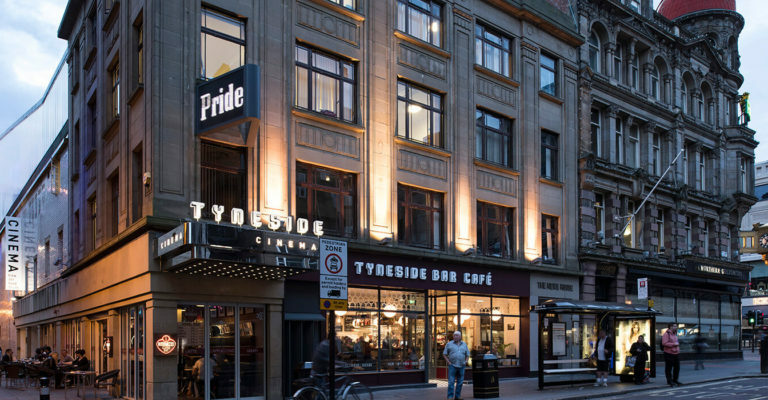 World-class culture, vibrant nightlife, award-winning dining, inspiring heritage, fantastic shopping and acclaimed architecture are linked here, as nowhere else, by the famous Geordie spirit. 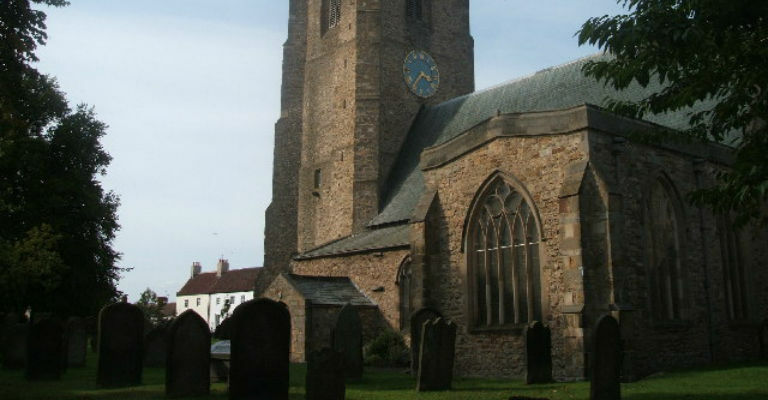 Newsham is a picturesque village of stone built houses surrounding the green. 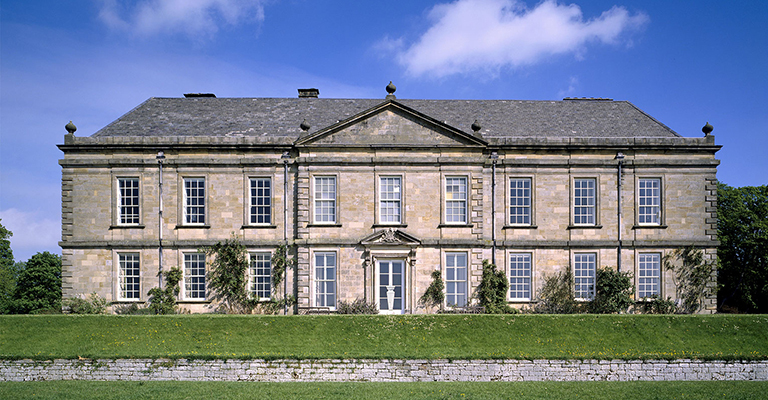 It is situated in North Yorkshire on the edge of Teesdale. 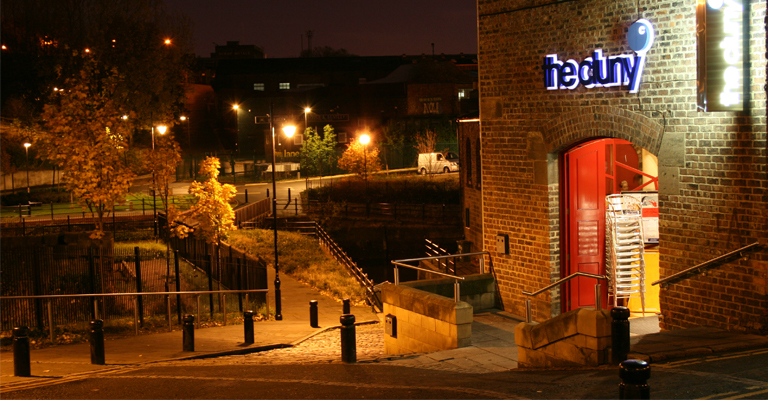 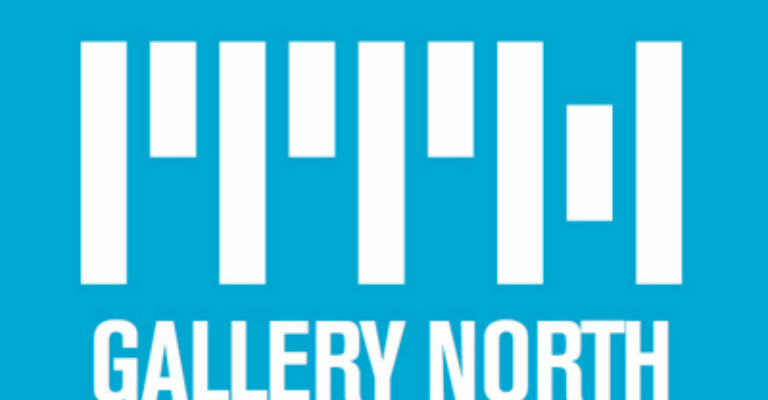 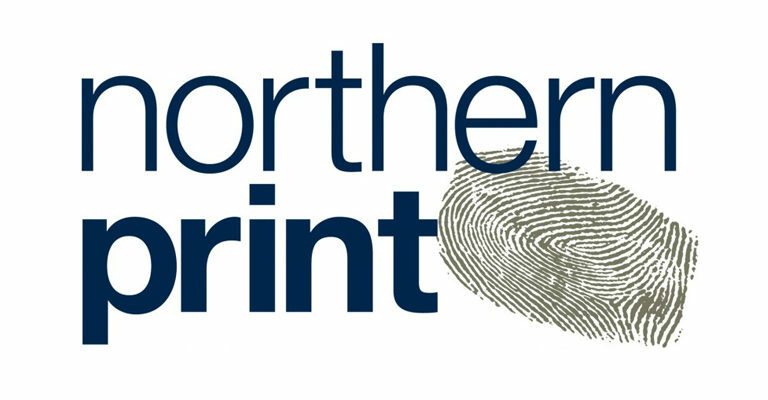 Northern Print is a gallery and printmaking studio located in the heart of Newcastle's Ouseburn Valley, just a few minutes from the city centre. 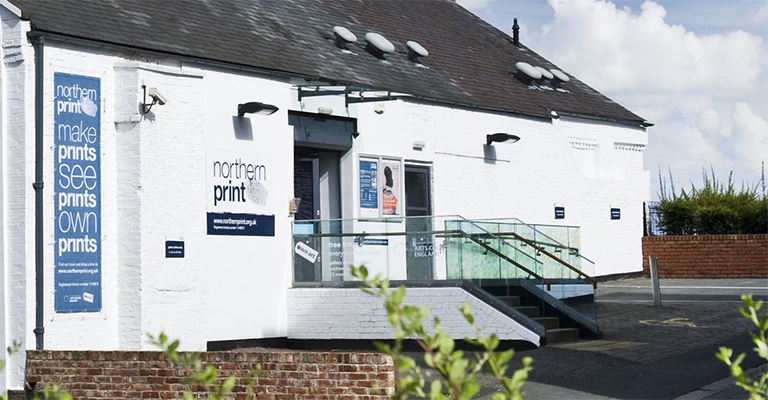 Northern Print is a gallery and printmaking studio located in the heart of Newcastle’s Ouseburn Valley, just a few minutes from the city centre. 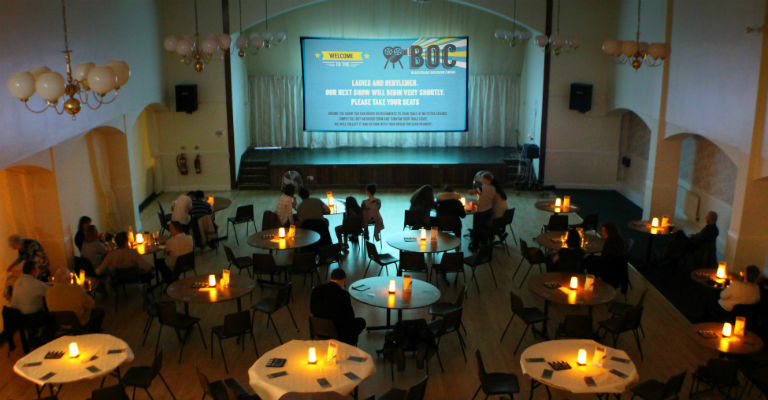 Redcar R & B Club is a non profit making organisation run by voluntary people. 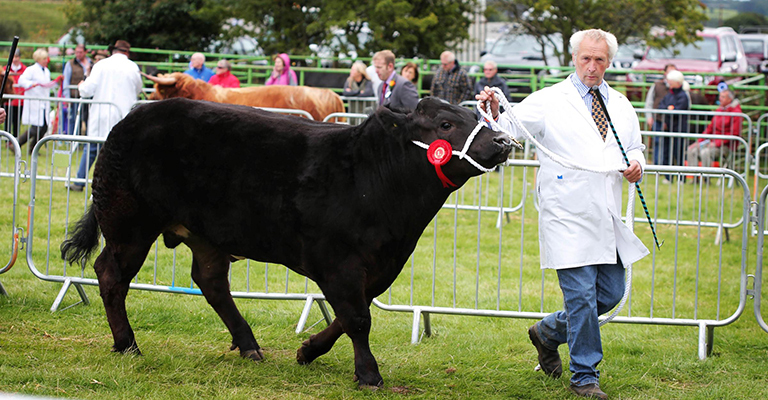 Home of the oldest agricultural show in the country. 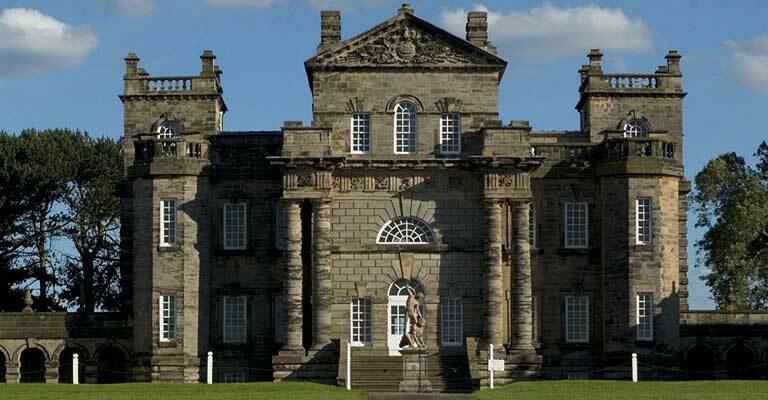 Whether you’re taking in the sweeping landscape, admiring the collection in the furnished West Wing, soaking up the fire-scarred grandeur and atmosphere of the Central Hall or relaxing in the gardens there’s something very special to discover at Seaton Delaval Hall. 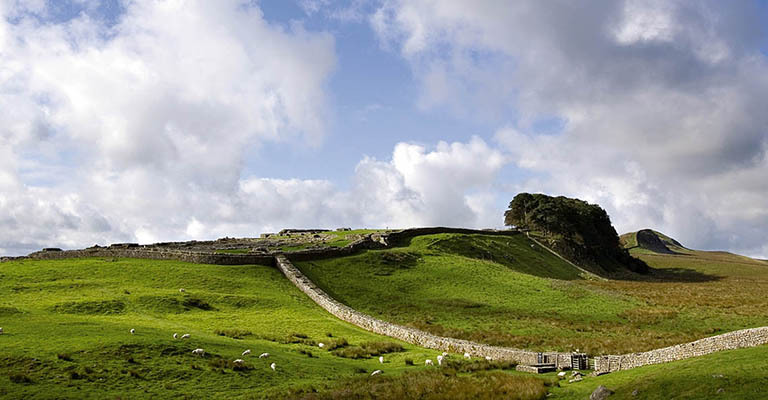 The gateway to Hadrian's Wall: the ideal place to explore the incredible story of Roman life in the north of England. 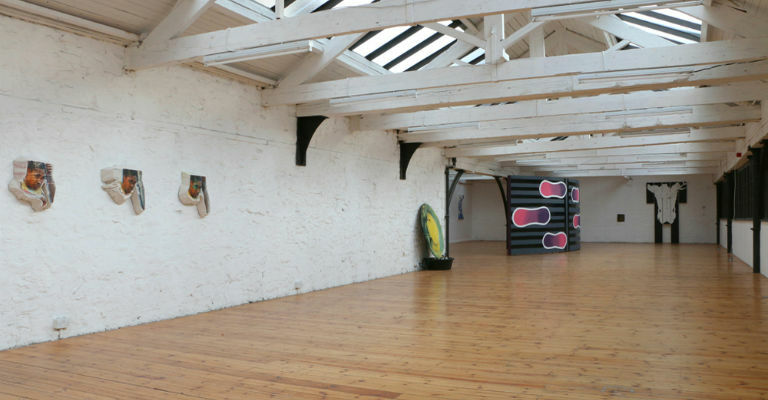 Five gallery spaces, showing a range of temporary exhibitions throughout the year. 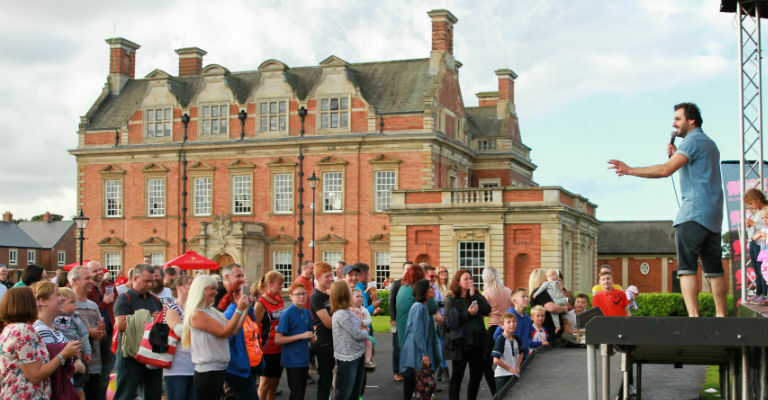 There are also regular events including artist and curator talks, family activities, concerts and vintage and craft fairs. 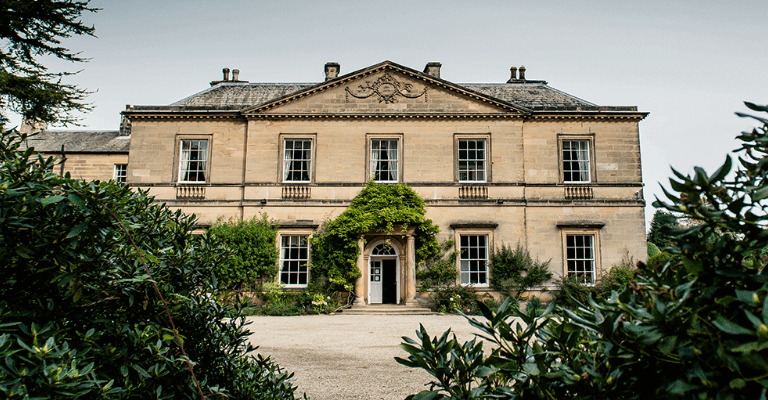 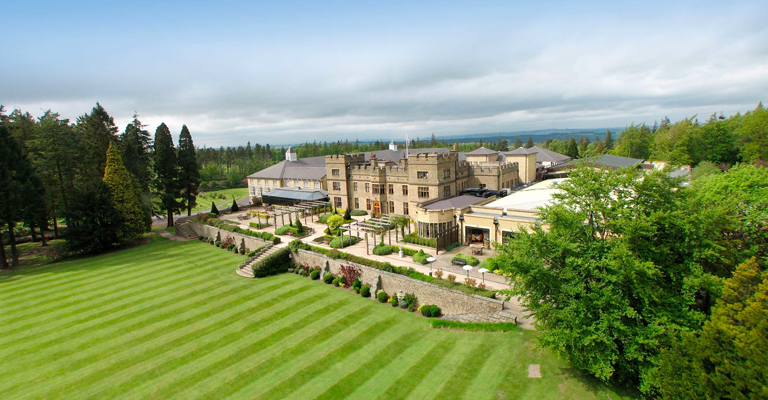 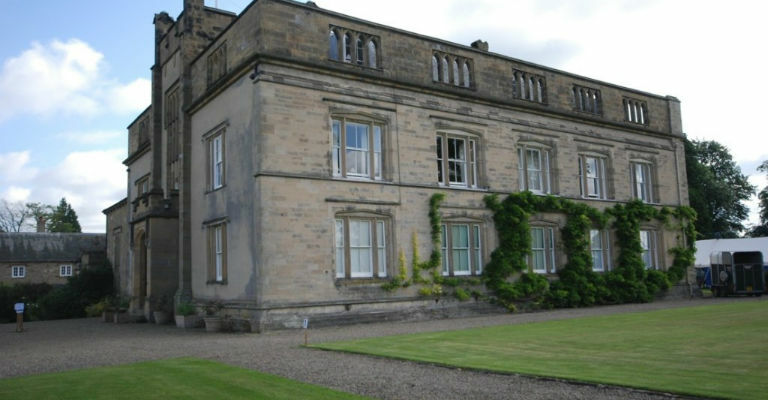 Slaley Hall is an Edwardian mansion set in 1,000 acres of Northumberland countryside perfect for an idyllic short break, magical wedding venue or place for business. 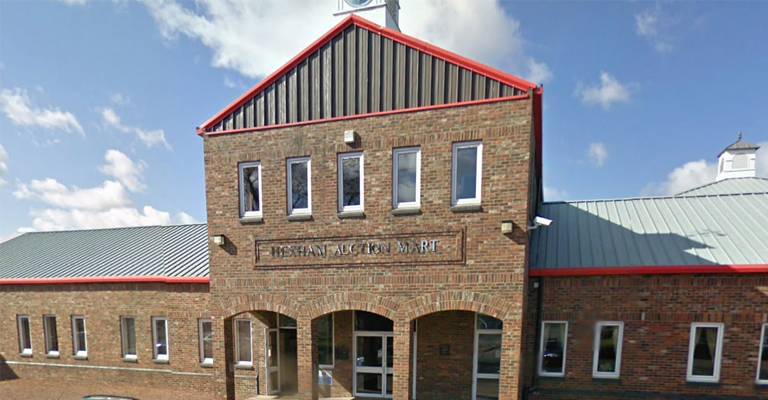 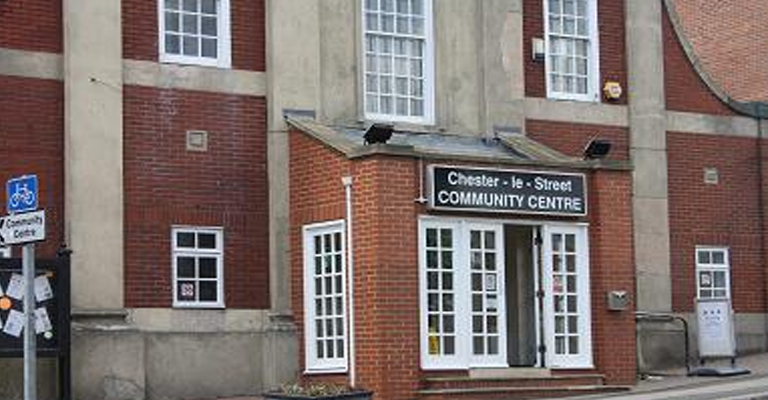 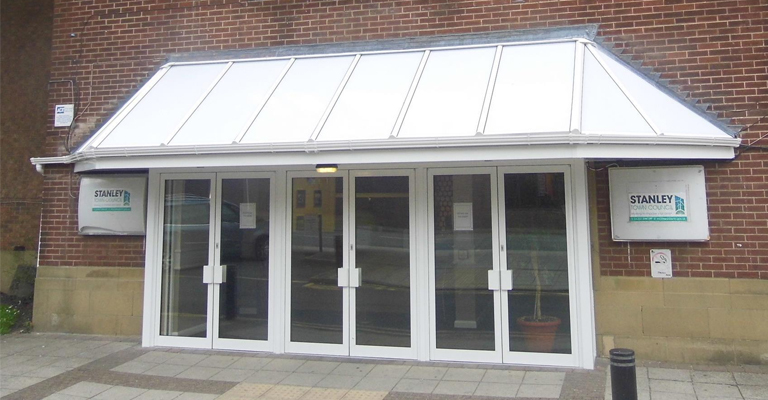 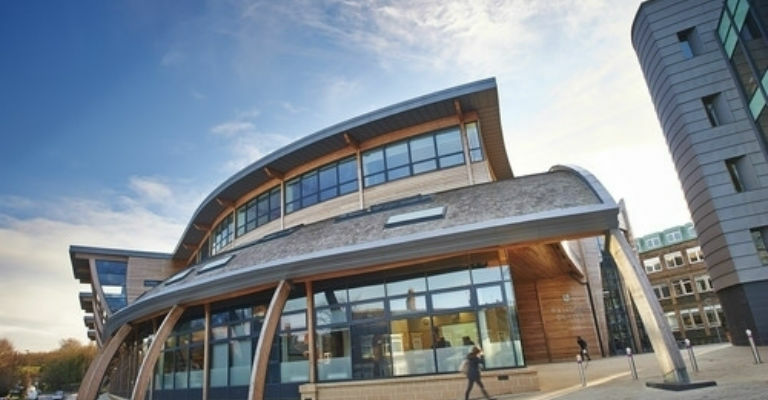 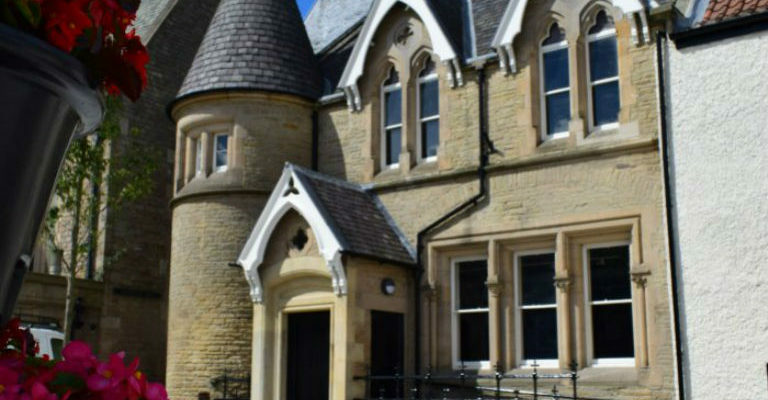 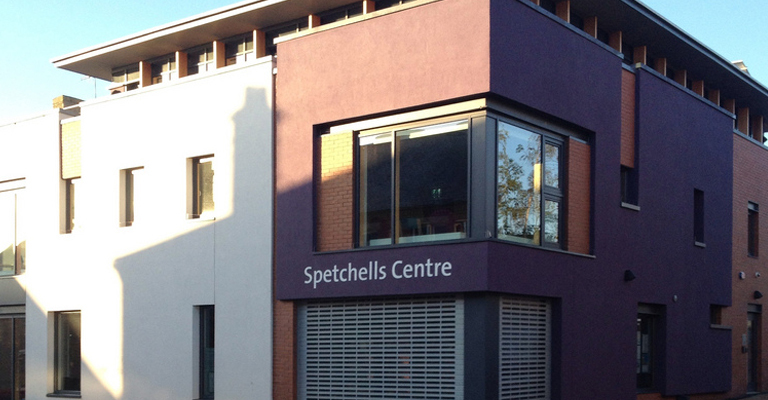 The Spetchells Centre has been developed by the Prudhoe Community Partnership to house a new library for the town as well as becoming a one-stop-shop for local services, advice and information. 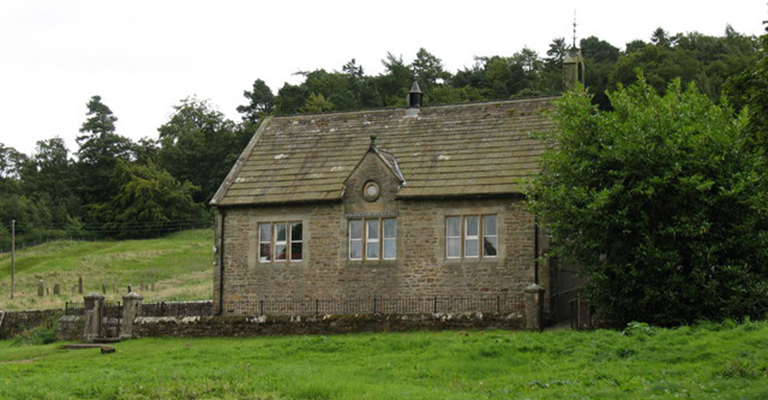 Staindrop’s Scarth Memorial Village Hall was built in 1875 in memory of Thomas Freshfield Scarth, land agent to the Dukes of Cleveland of Raby Castle. 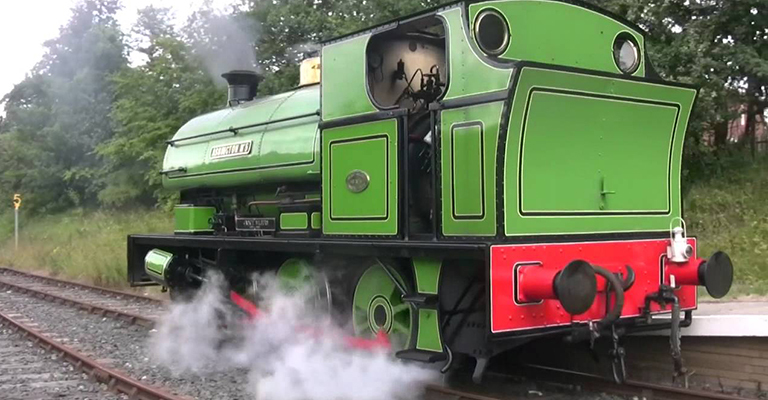 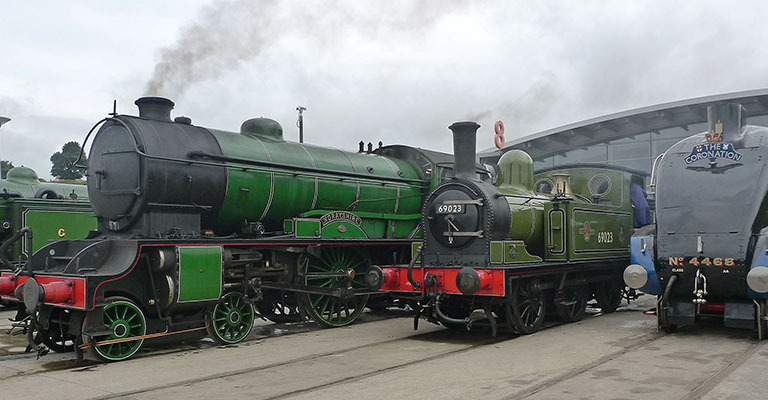 Re-live the glorious days of the steam railway at the Stephenson Railway Museum. 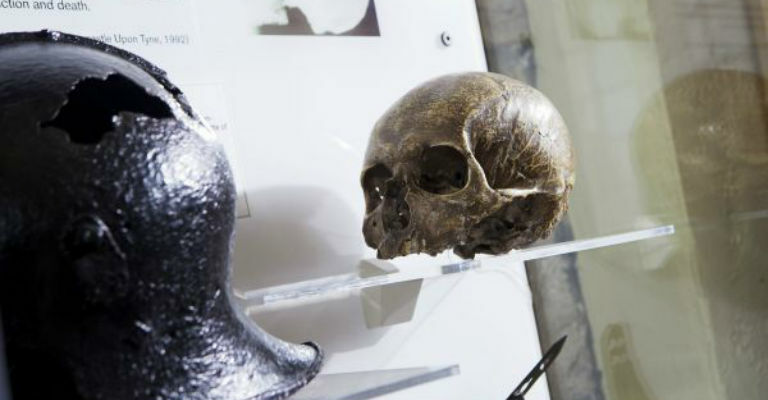 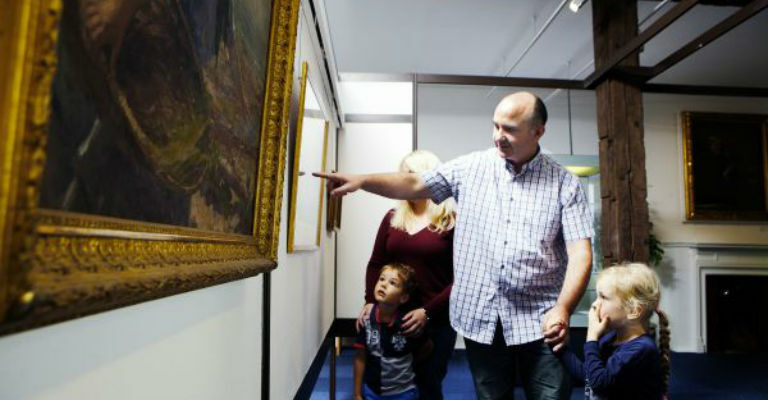 Many fun activities for all ages are also held alongside temporary exhibitions. 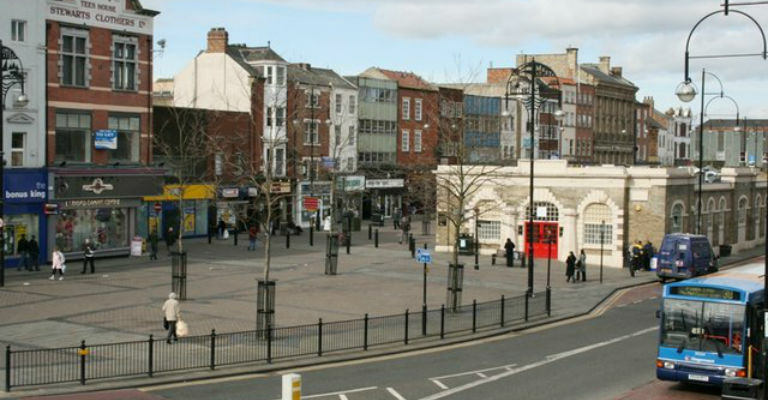 It’s all going on in Stockton Town Centre, with extraordinary and entertaining yearly events, great restaurants, fantastic local music scene and plenty of fun things to see and do. 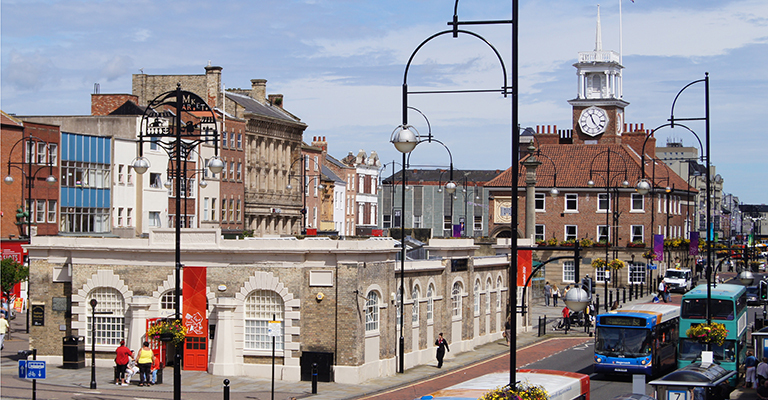 Stockton plays host to plenty of attractions to keep you entertained. 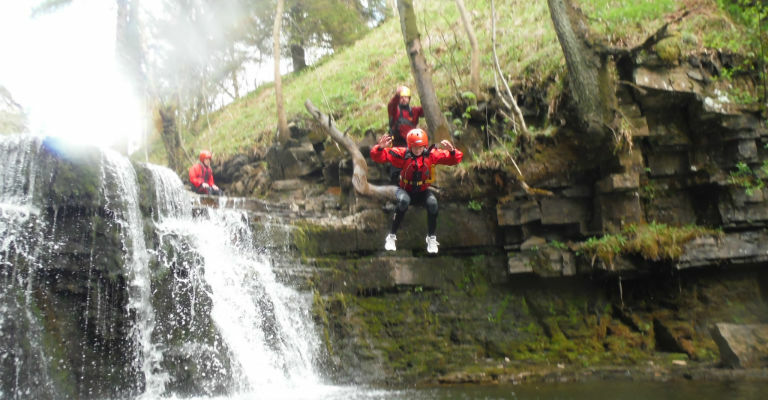 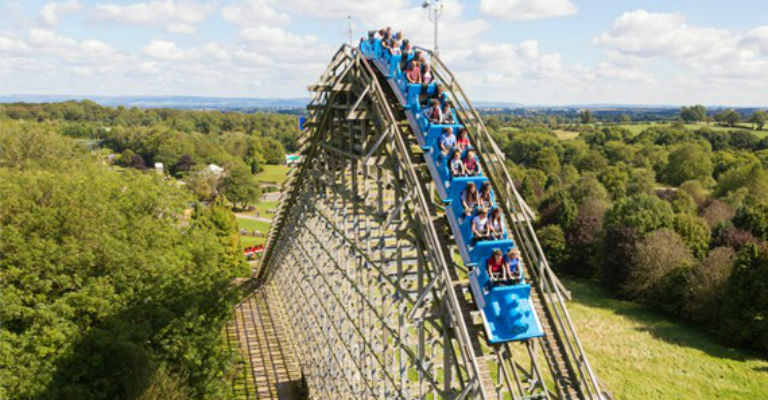 From the thrill of the white water rafting course at Tees Barrage to the peace and tranquillity of country parks such as Ropner Park, Billingham Beck Park or Preston Hall Park & Museum. 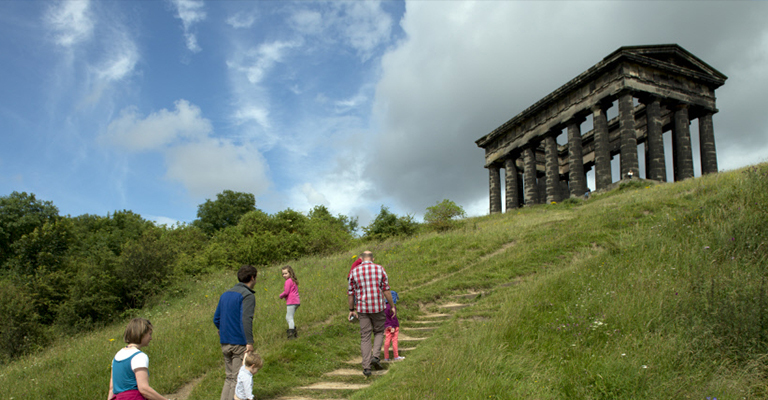 With so much to explore and experience in the city centre, you'll find something for all the family. 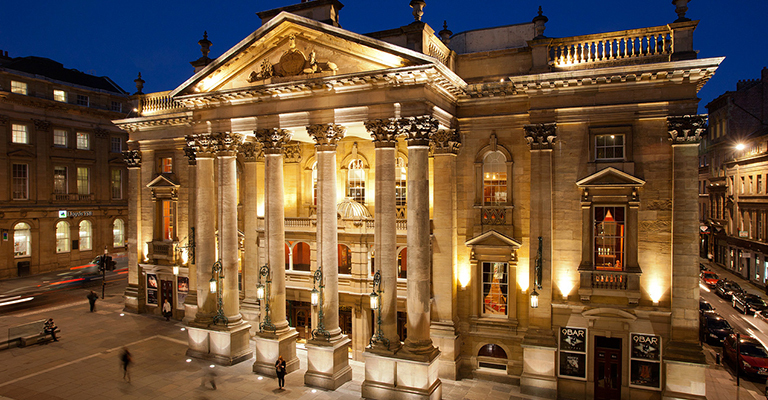 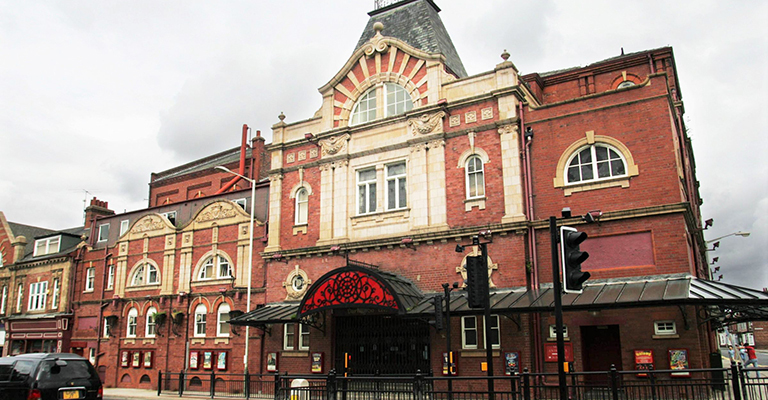 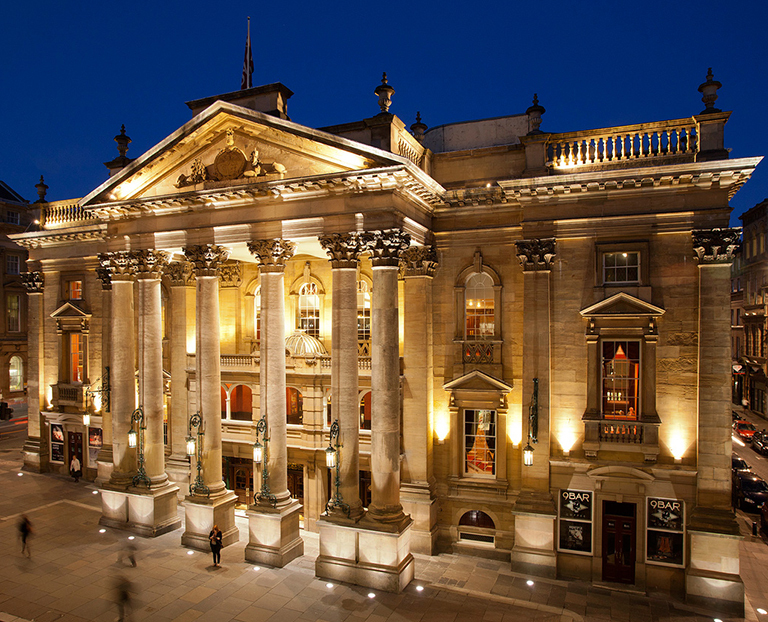 Sunderland Empire is the North East's flagship theatre showcasing the very best touring productions in the UK, offering audiences a choice of the biggest stars and most prestigious shows, making for a sparkling night out. 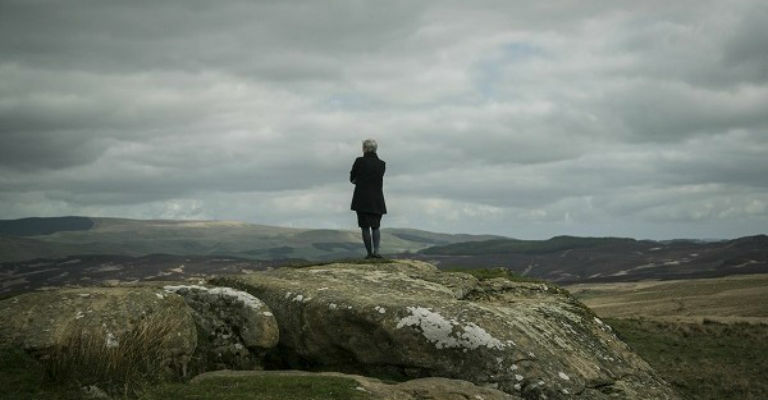 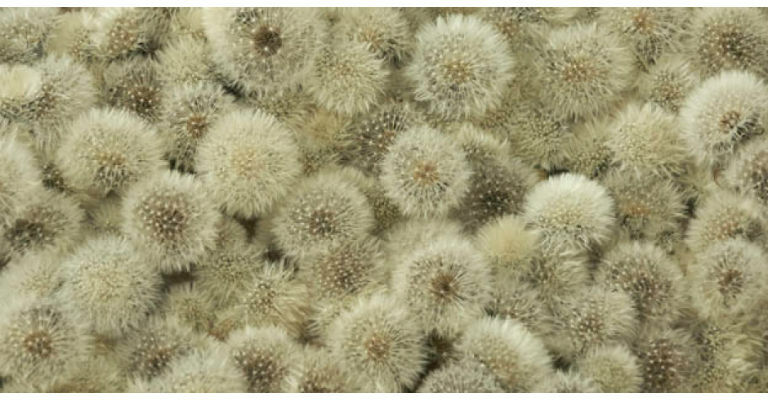 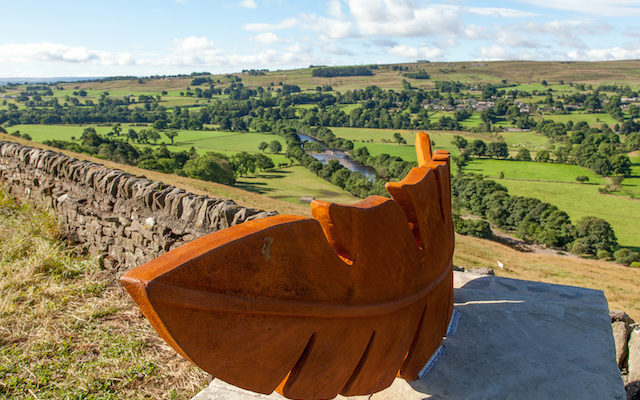 Working with the Heart of Teesdale Landscape Partnership with additional funding from Arts Council England, ARTworks in Teesdale is delivering another innovative landscape based arts project. 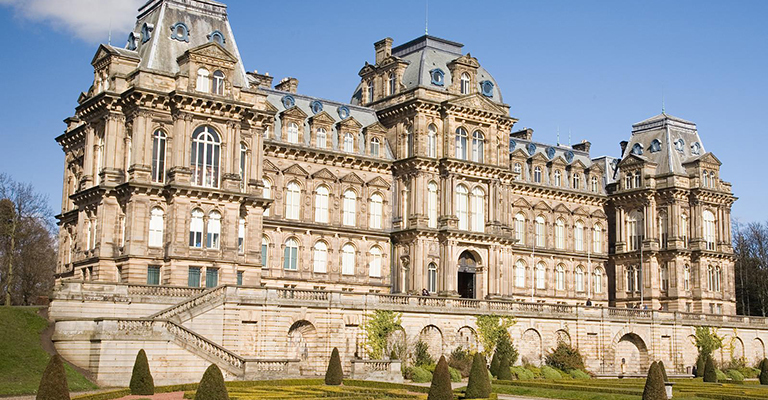 A magnificent French château created in the late 19th century by John and Joséphine Bowes, housing internationally renowned collections of European fine and decorative arts spanning five centuries. 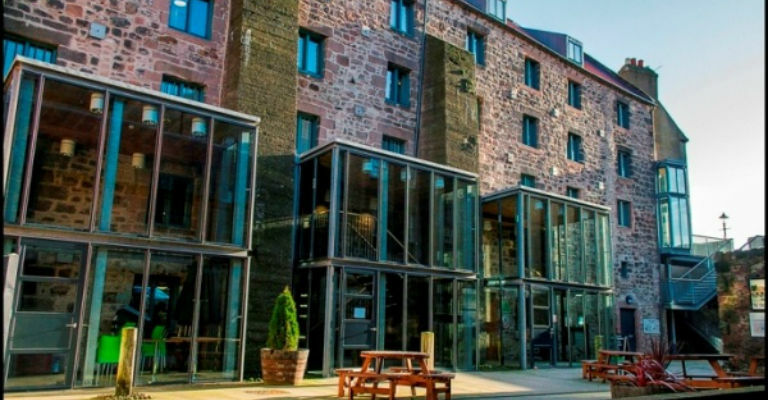 The Cluny is a great venue which manages to be a bar, art gallery and music venue all rolled into one. 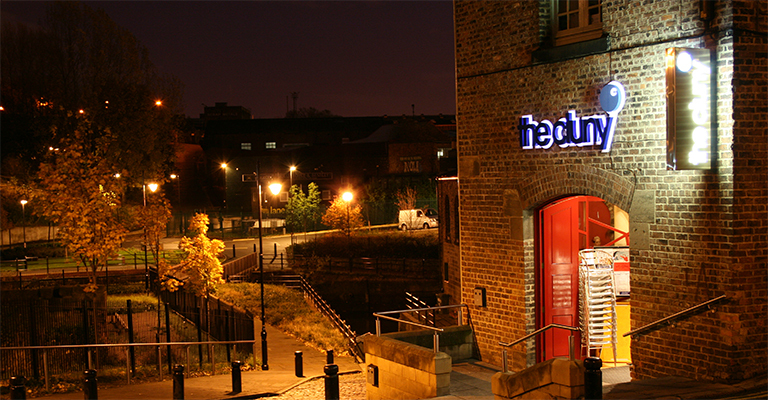 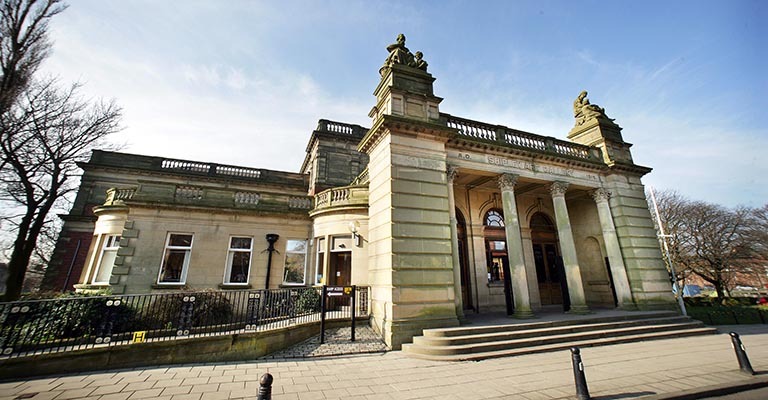 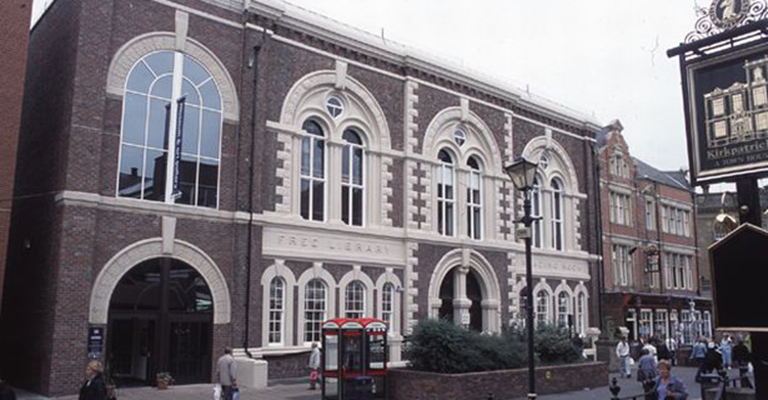 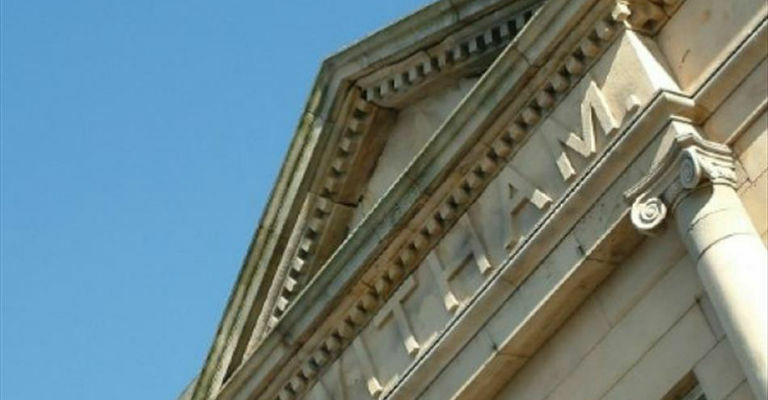 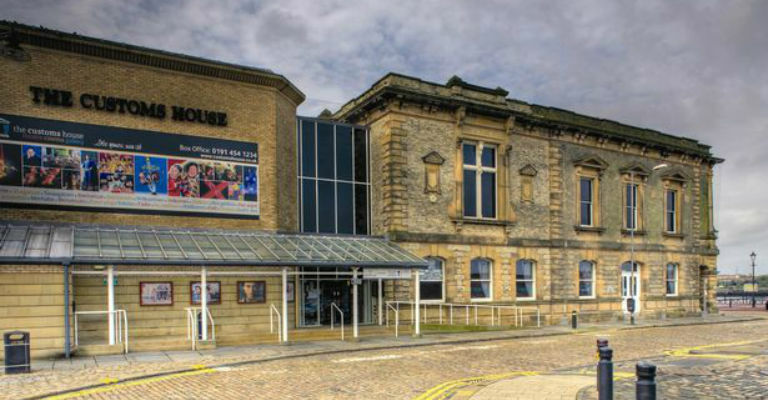 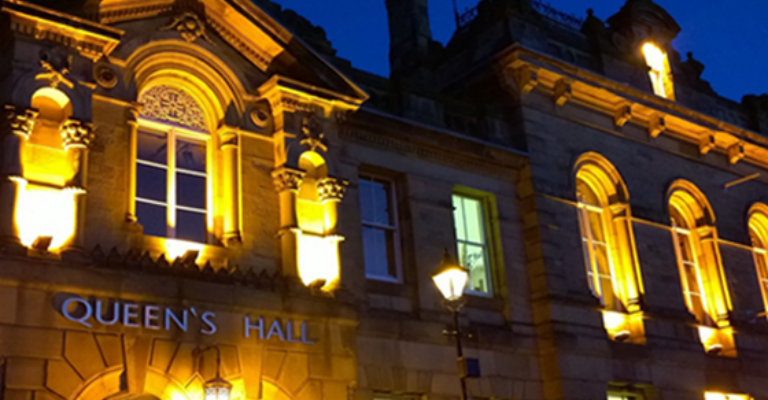 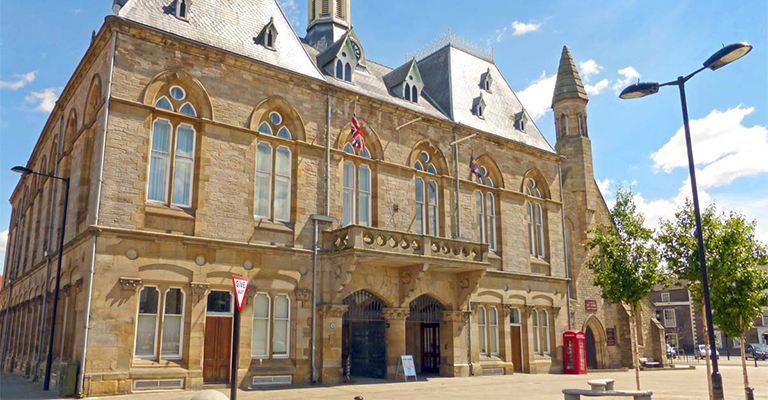 The Customs House is South Tyneside's premier arts centre offering great arts & entertainment for all. 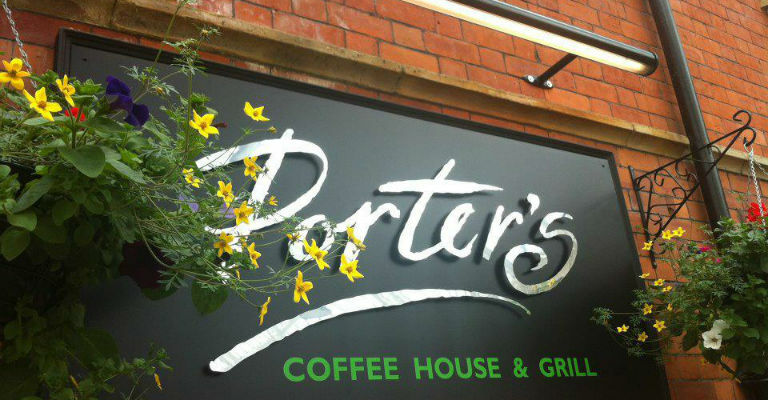 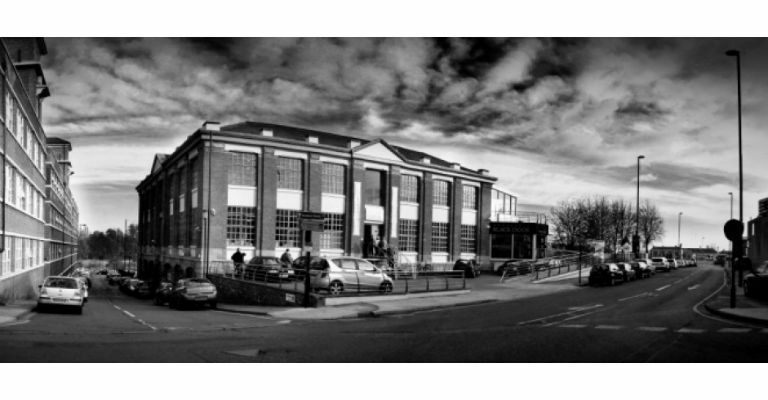 Open since the early 1950’s to provide a friendly meeting place to chill out, enjoy a drink, watch sports and chat with friends after a hard days graft. 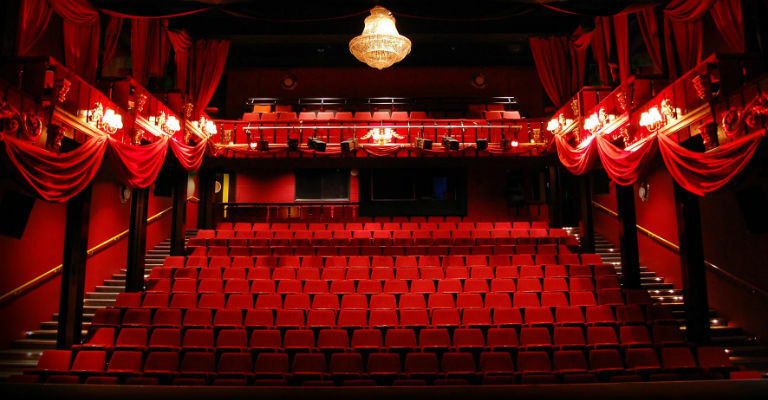 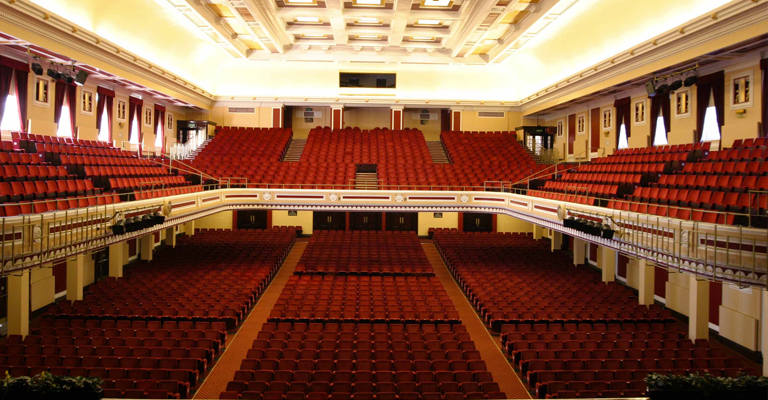 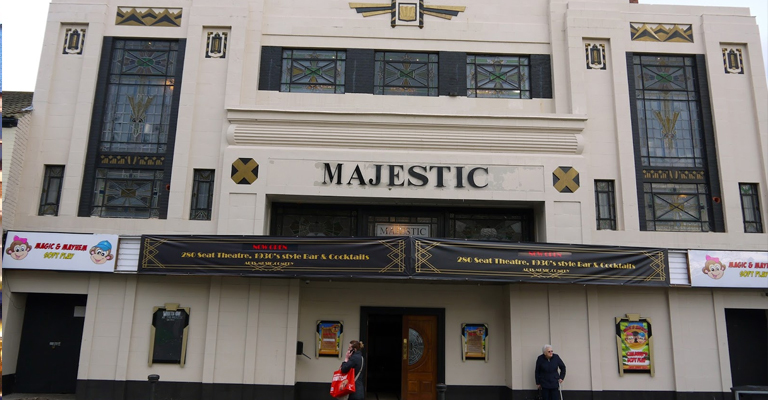 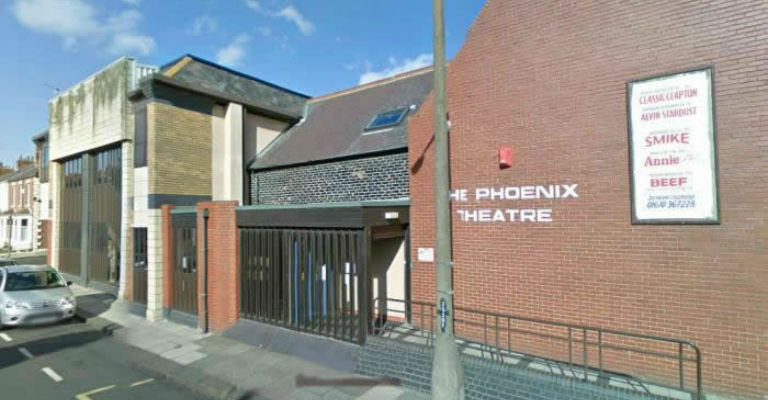 The Majestic Theatre is a beautiful Art Deco venue space, bar and lounge in the centre of Darlington, that offers a full programme of professional and amateur theatre, events, functions and other entertainment. 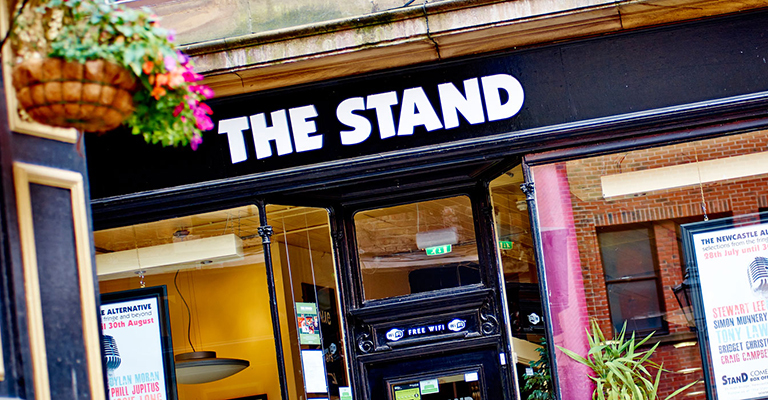 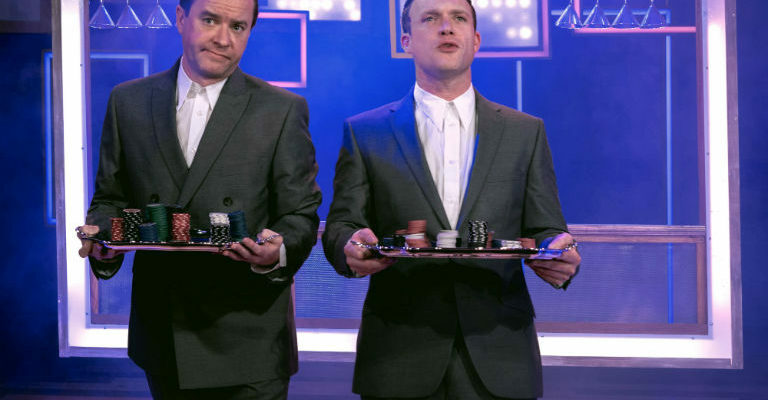 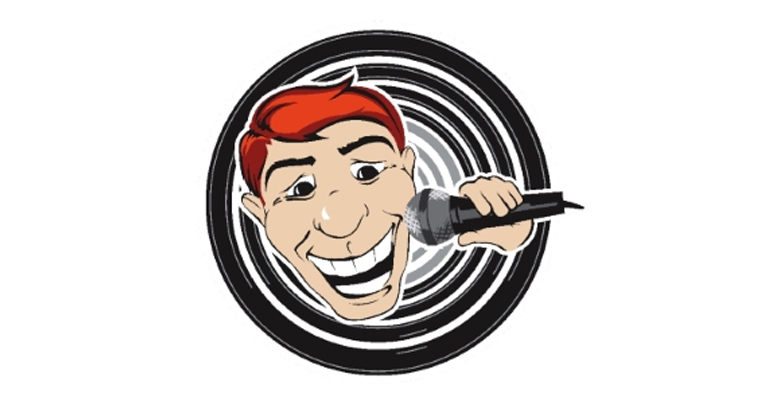 Built on the success of sister venues in Edinburgh and Glasgow, regarded by many as the best comedy clubs in the country, The Stand Newcastle is already recognised as one of the best venues in the North East for comedy, by punters and comedians alike. 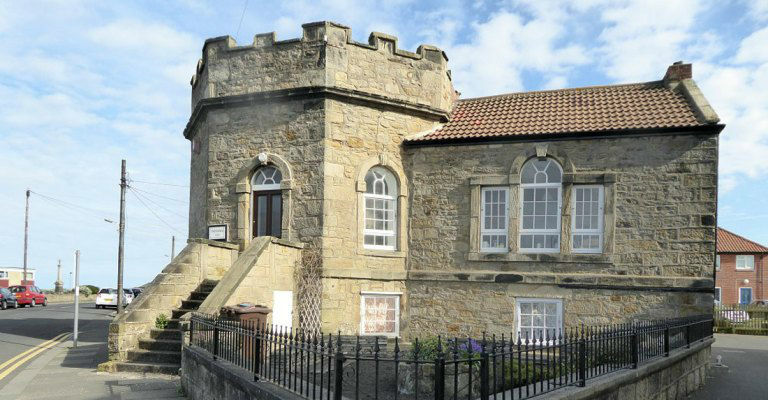 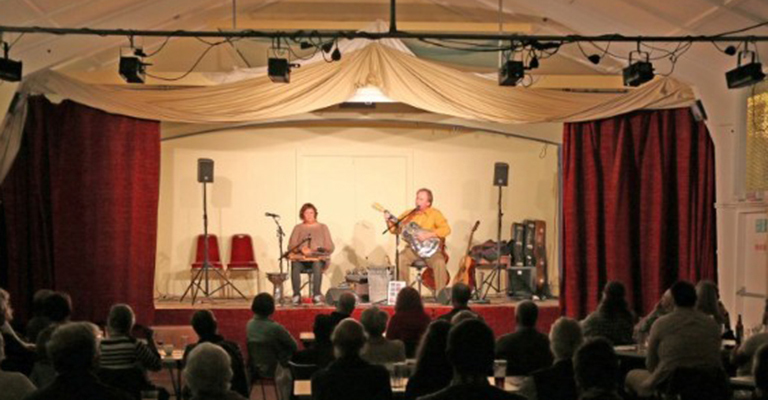 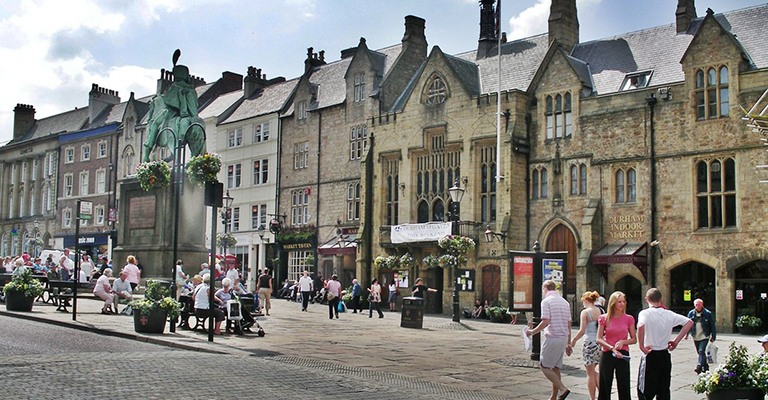 The Witham is a not-for-profit organisation, which provides community, cultural and commercial activity in the centre of Barnard Castle in County Durham. 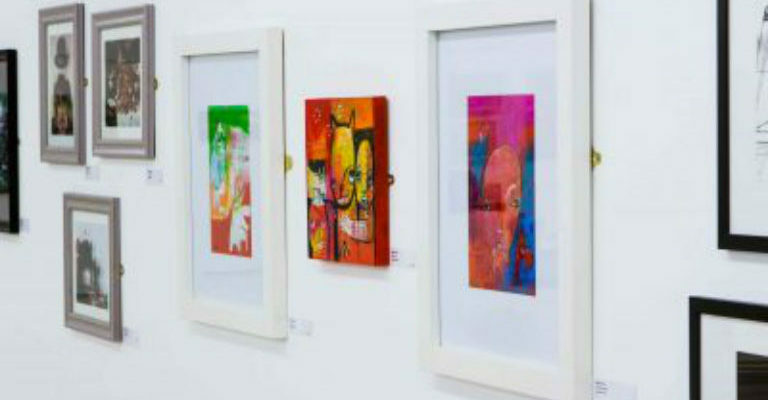 Tower House Gallery has a number of works on display and artists in residence. 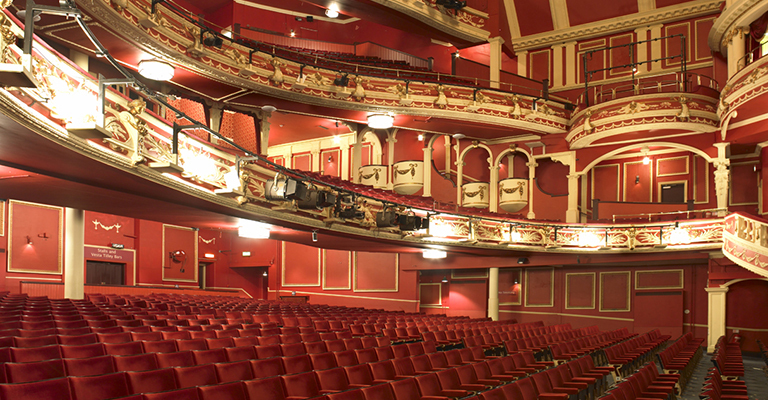 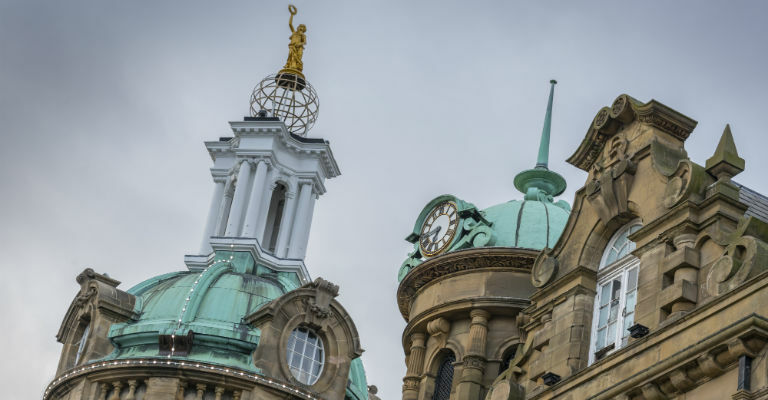 Opened in 1867, the Grade I listed building has key elements of national importance, including the lavish auditorium and wooden stage machinery. 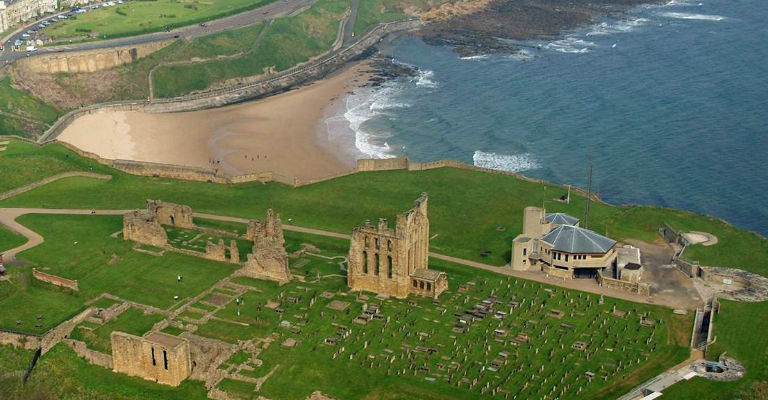 Tynemouth Castle and Priory on the coast of North East England was once one of the largest fortified areas in England. 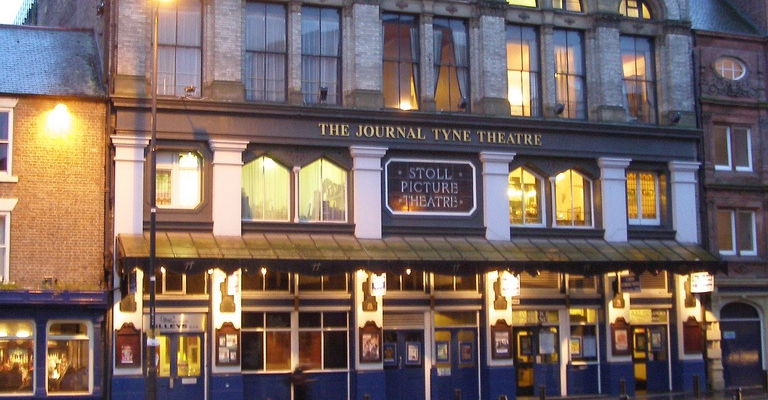 Independent specialised film theatre, art gallery, cultural venue and heritage attraction - Tyneside Cinema is one of the North East's most loved institutions. 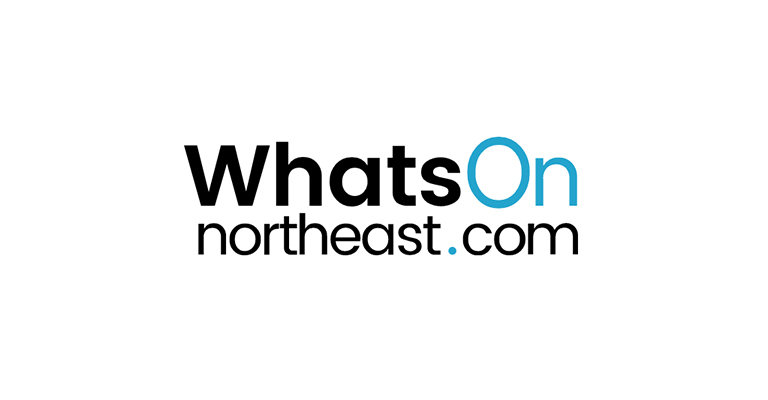 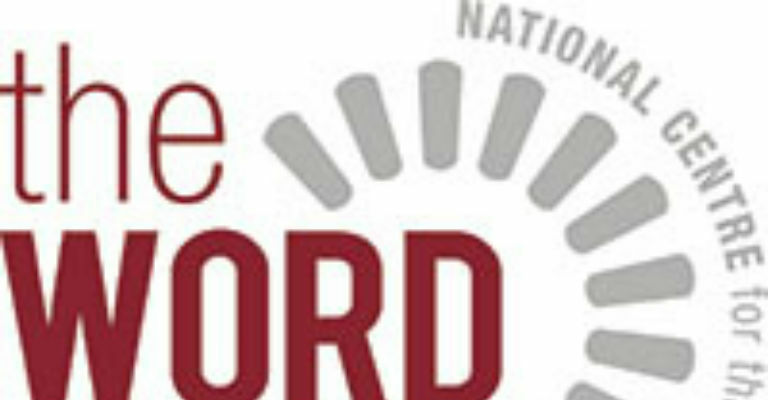 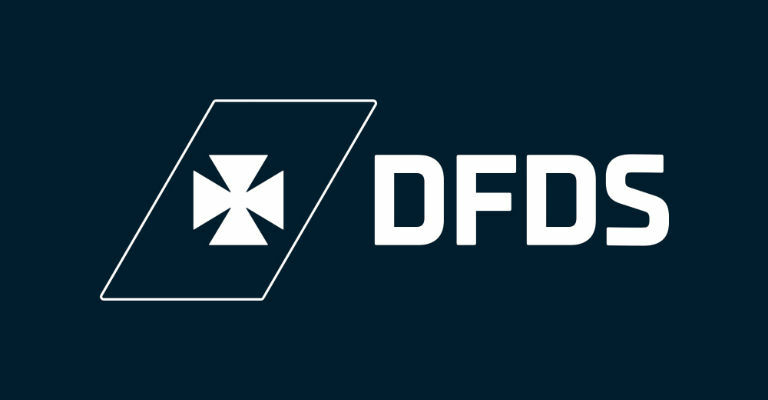 These events take place at various locations across the region. 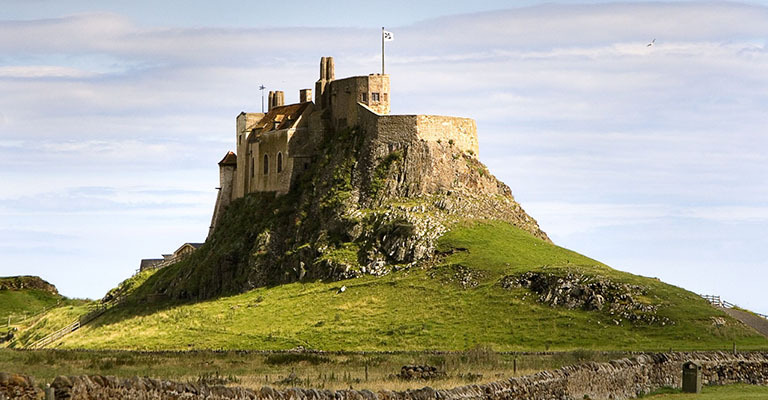 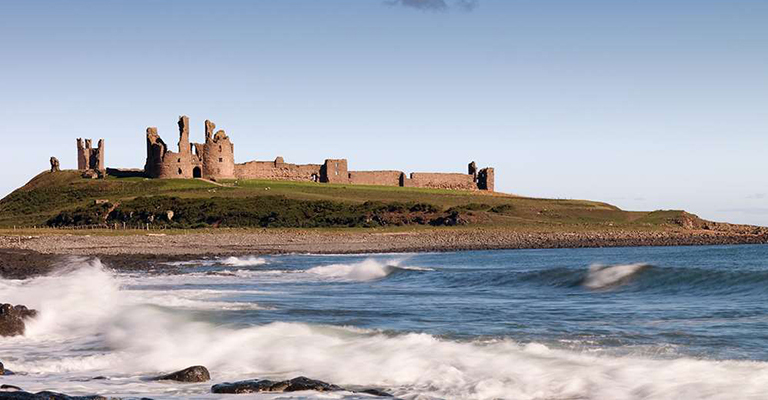 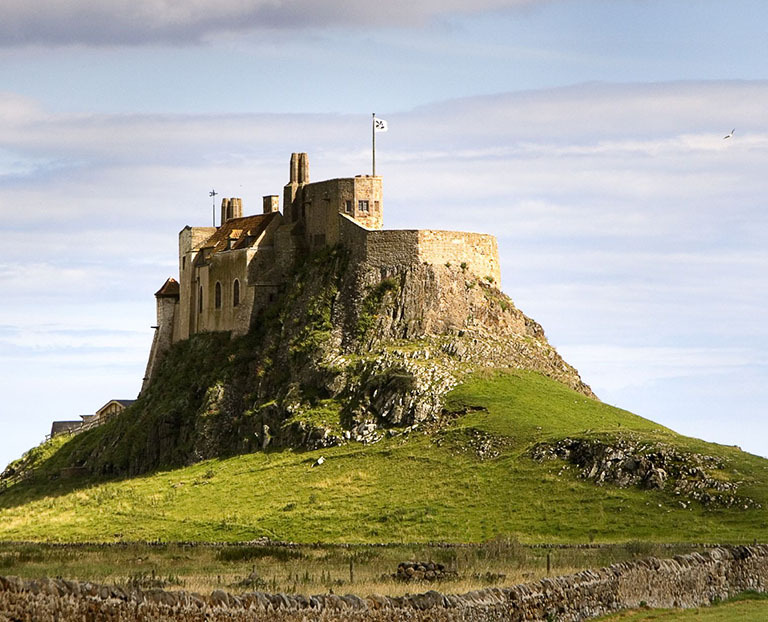 Be king or queen for the day in this mighty Northumberland fortress crowning the hilltop above the River Coquet. 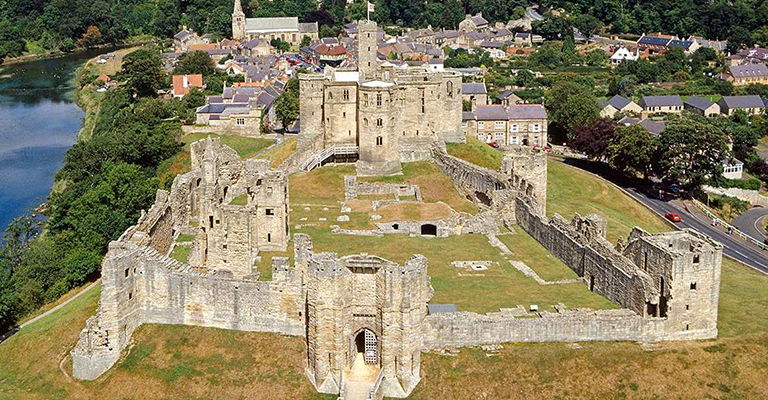 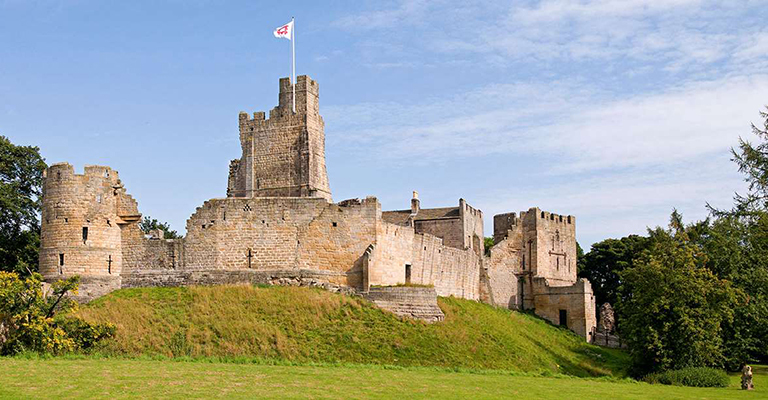 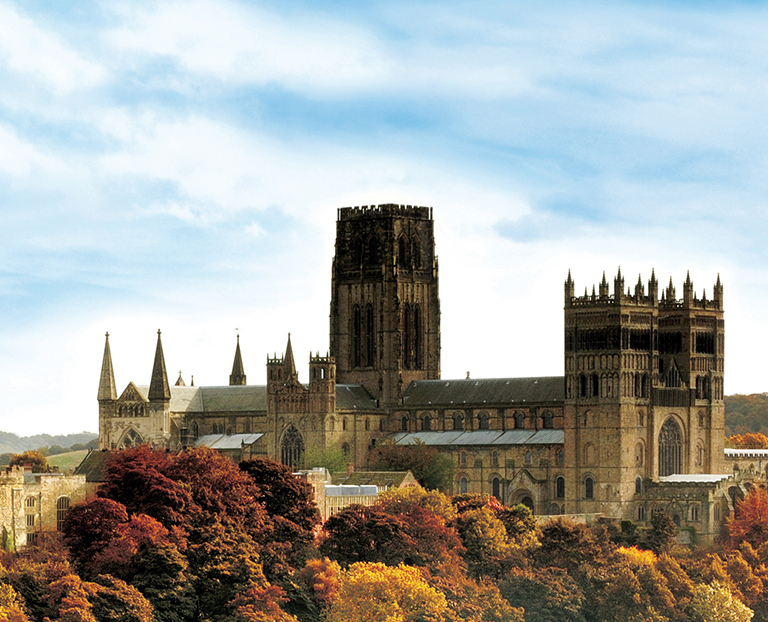 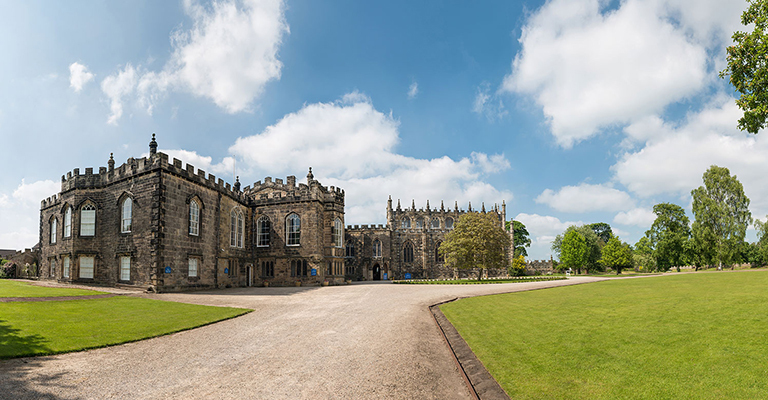 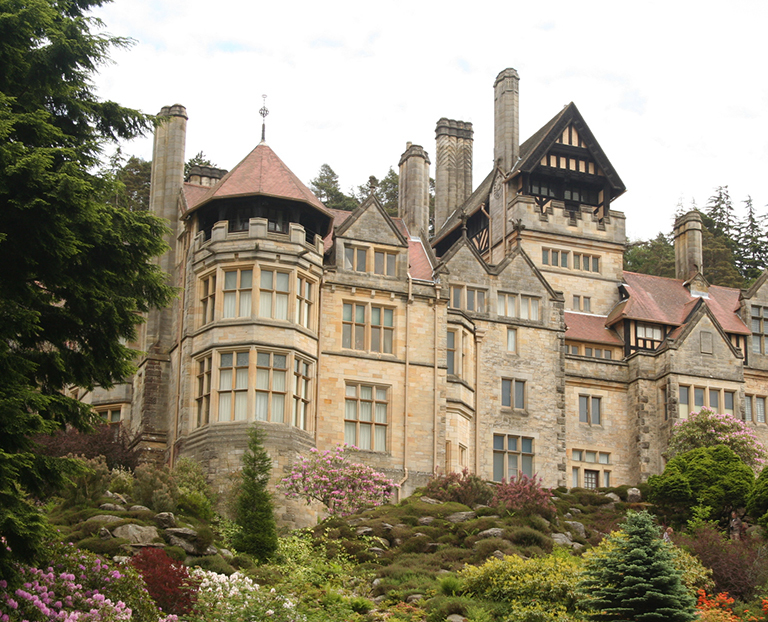 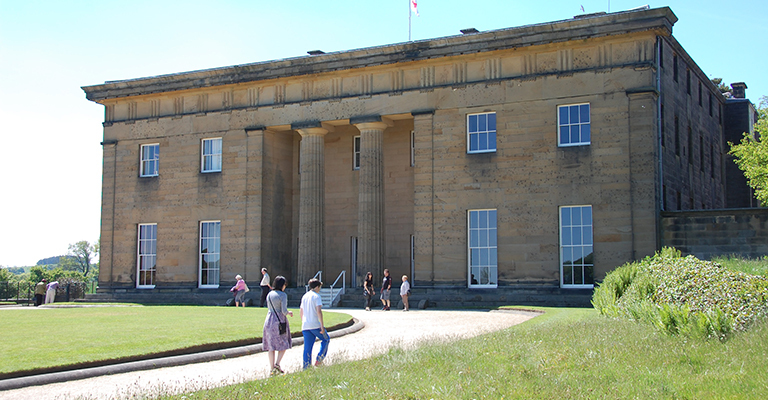 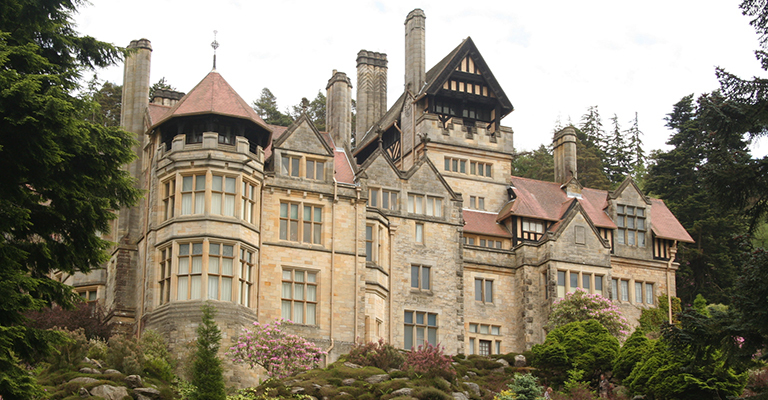 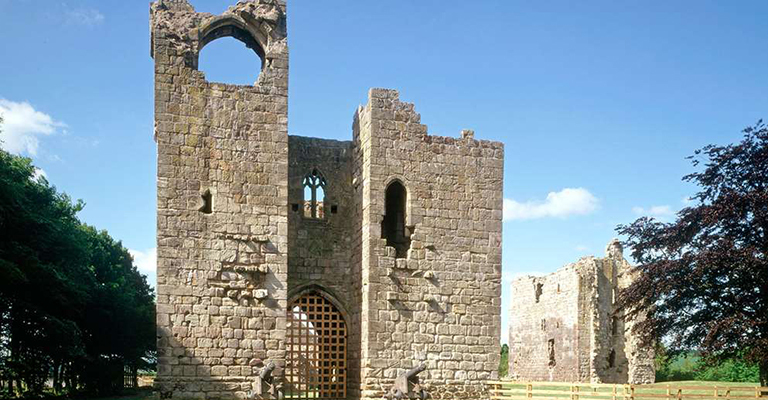 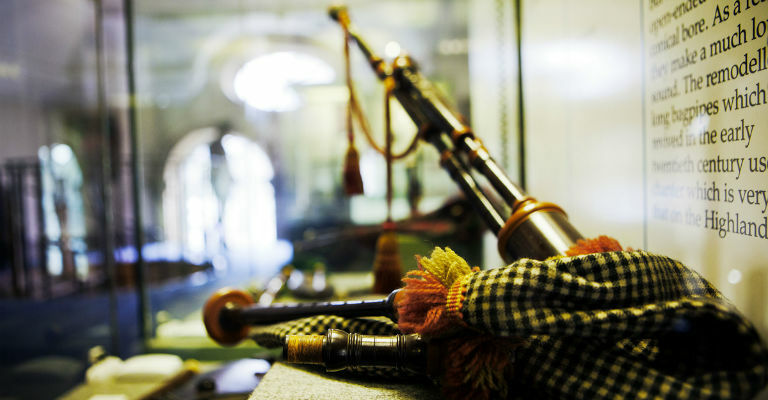 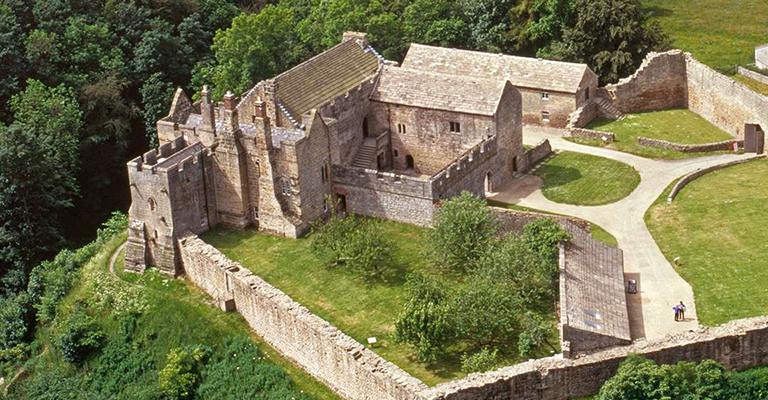 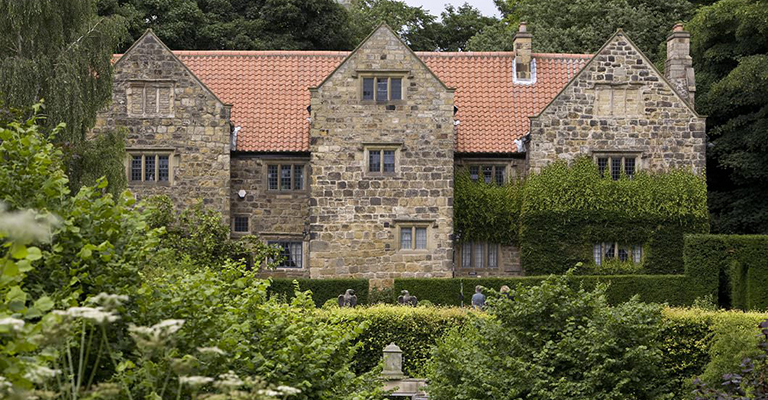 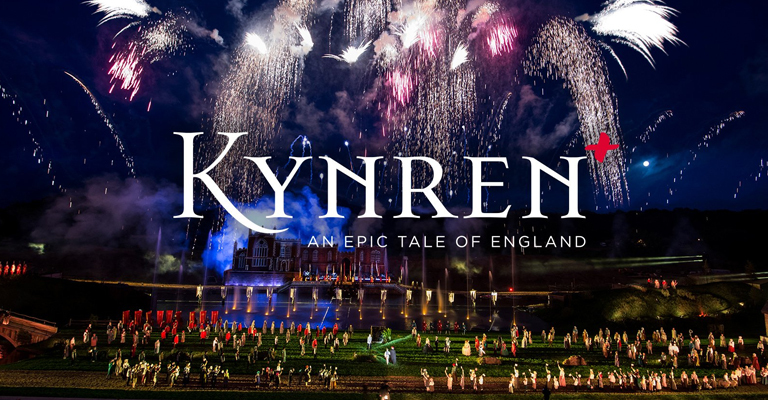 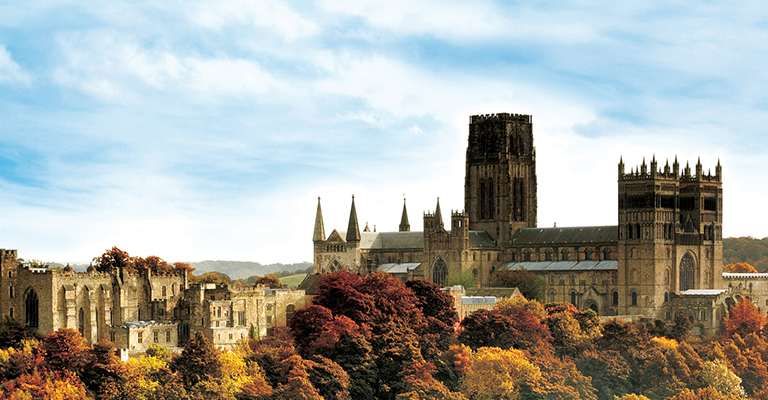 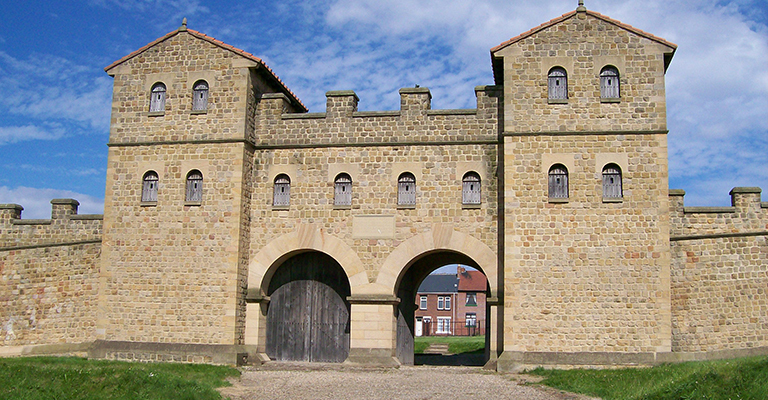 Enjoy a day out and see how the powerful Dukes of Northumberland, the Percy family lived. 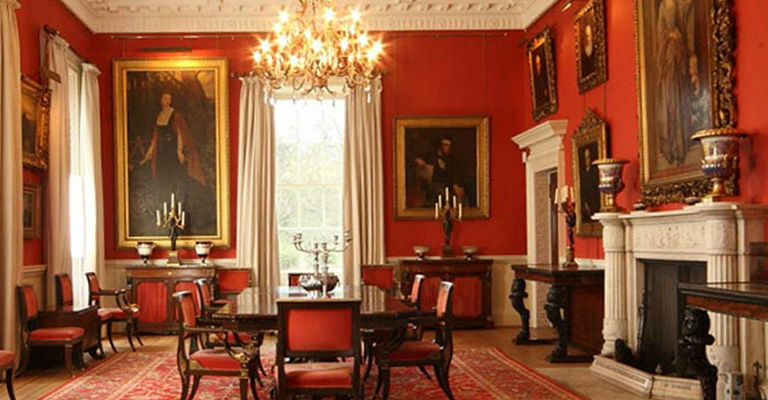 Manor house associated with the family of George Washington, first president of the USA. 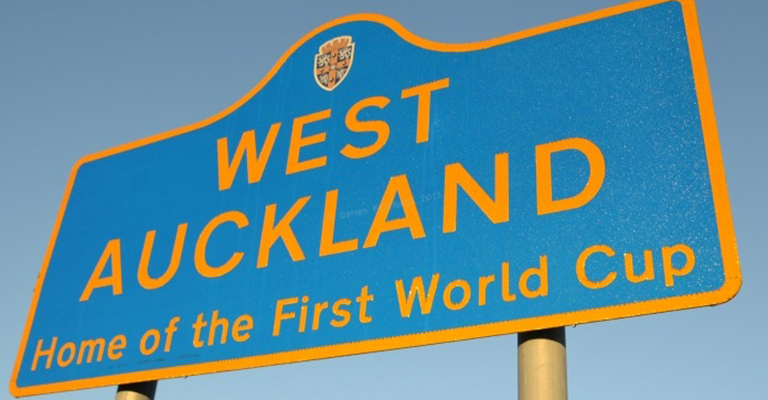 The Memorial Community Centre was built in 1925 as a fitting memorial to the men of West Auckland who died in the 1914 - 1918 war. 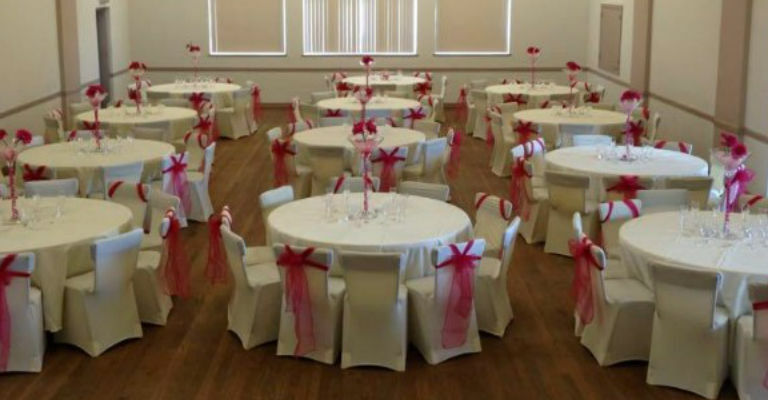 Since then the original hall has been renovated and built on, and now offers a welcoming venue for residents of West Auckland and the surrounding areas. 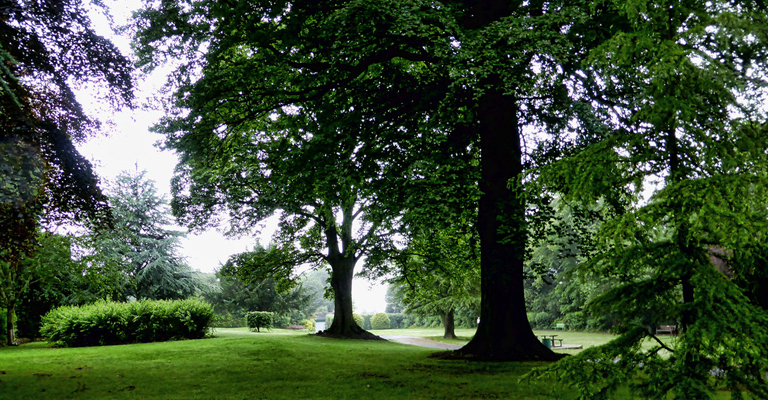 Wharton Park has been awarded a Green Flag Award. 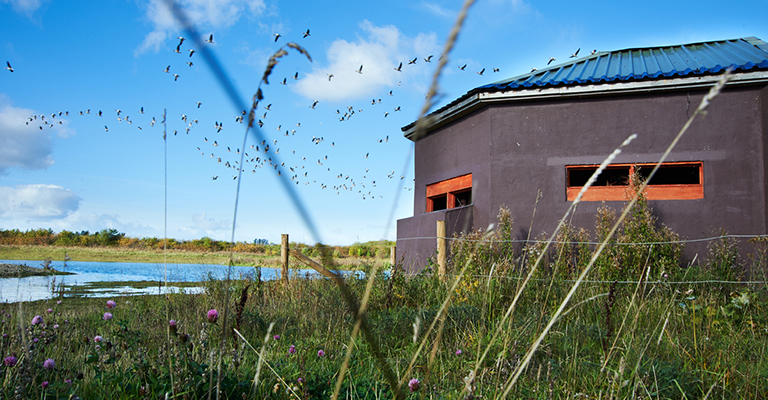 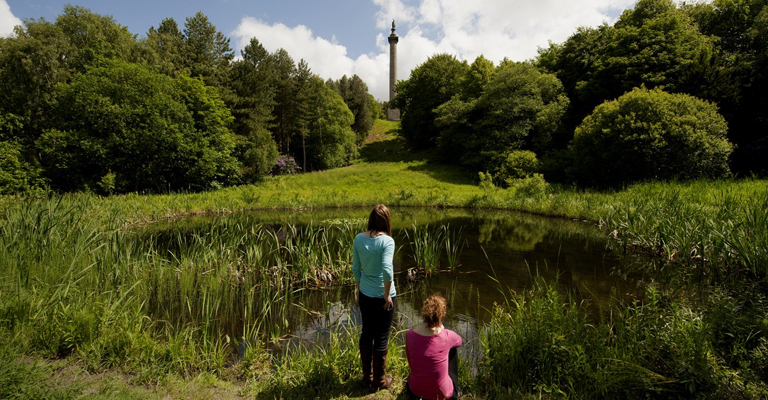 These awards recognise well managed parks and open spaces for all to enjoy. 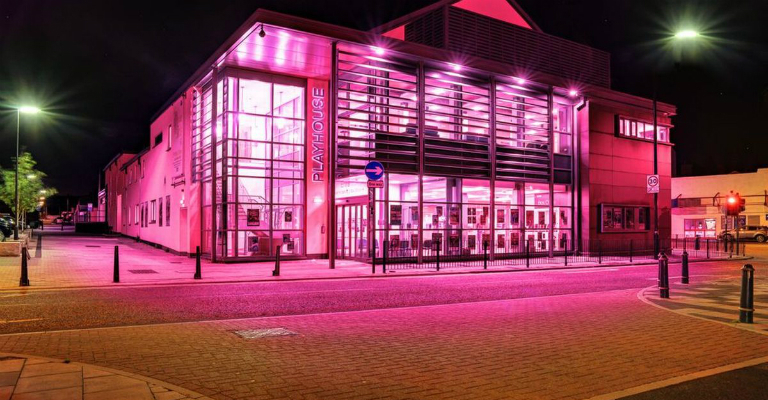 This 'state of the art' £8.5m refurbished venue is the flagship of a major re-generation project, breathing new life into this famous coastal resort. 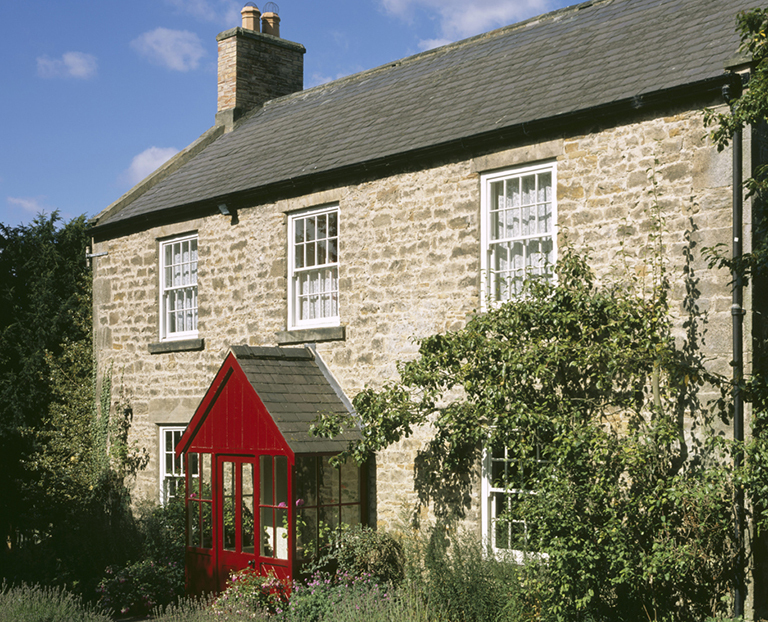 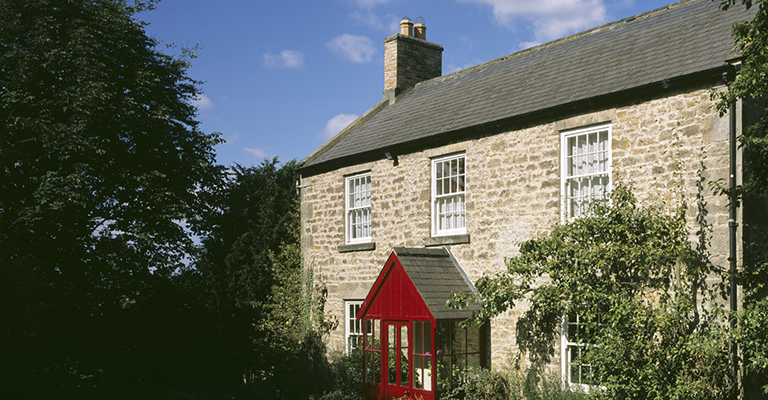 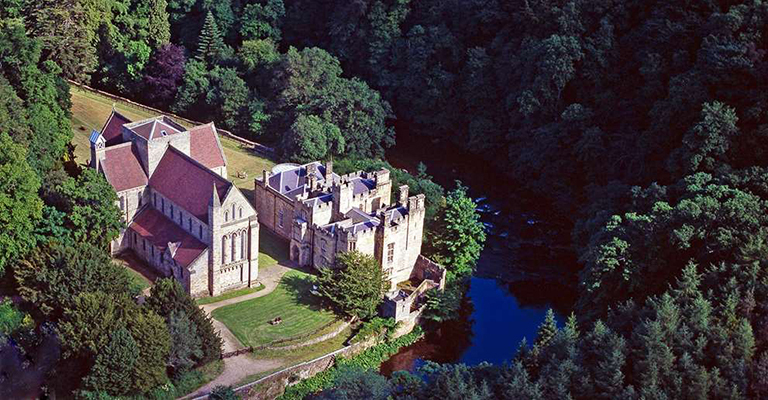 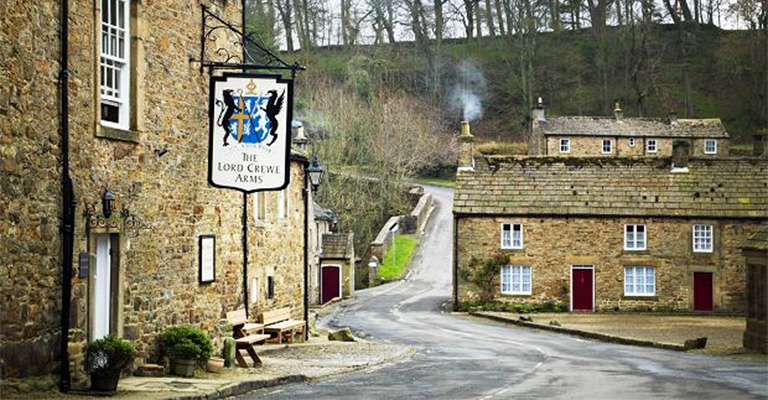 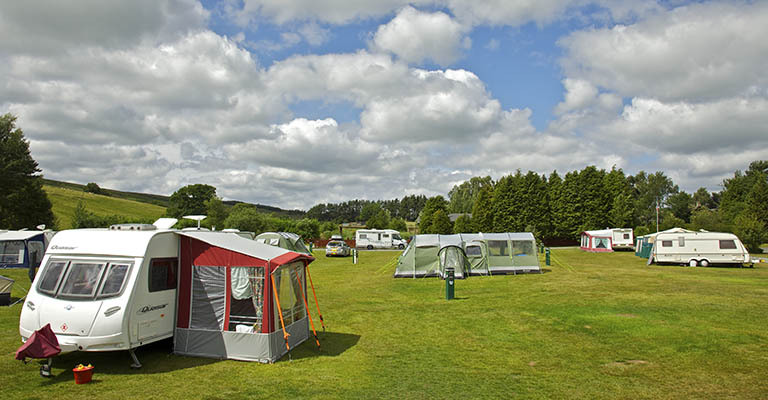 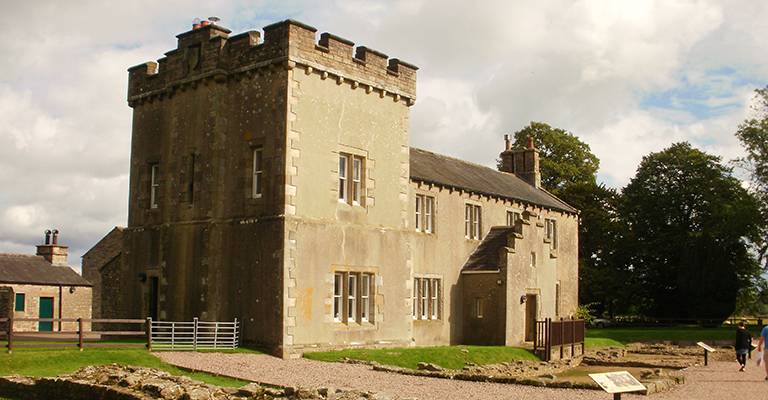 Whorlton is located four miles from Barnard Castle and above the River Tees. 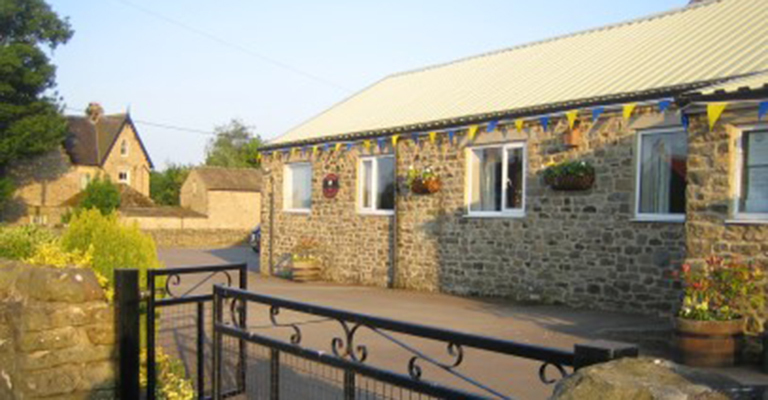 The village is very picturesque and has an attractive green. 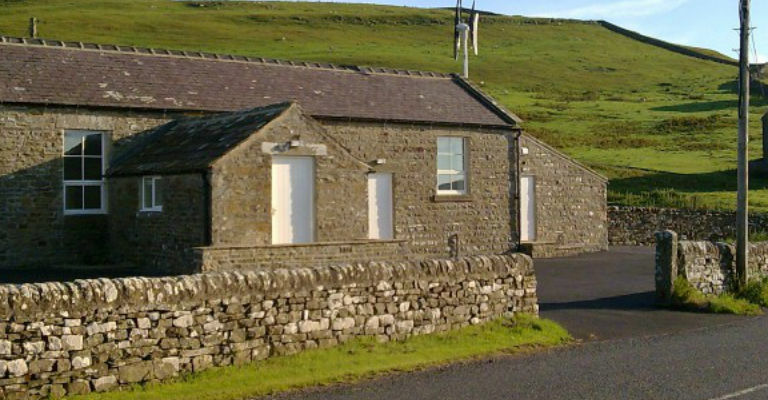 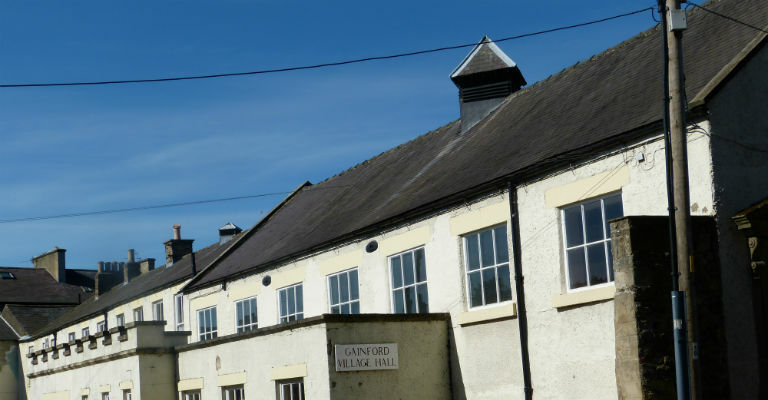 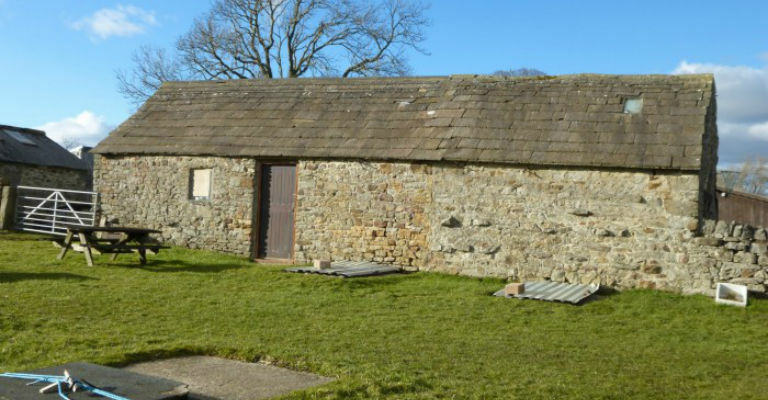 A warm, welcoming, recently refurbished and spacious hall for hire in the heart of Teesdale. 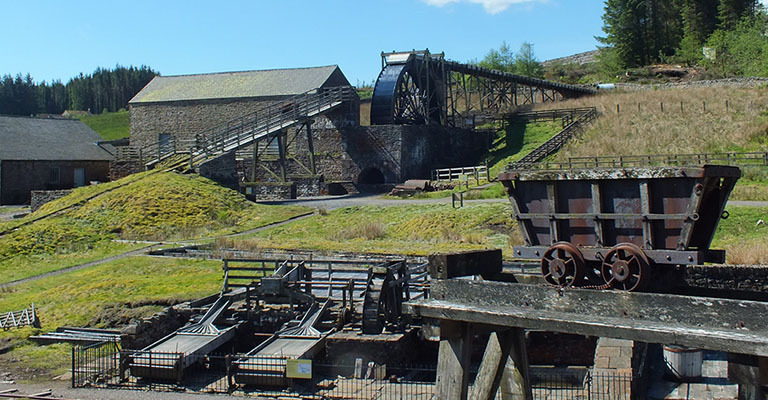 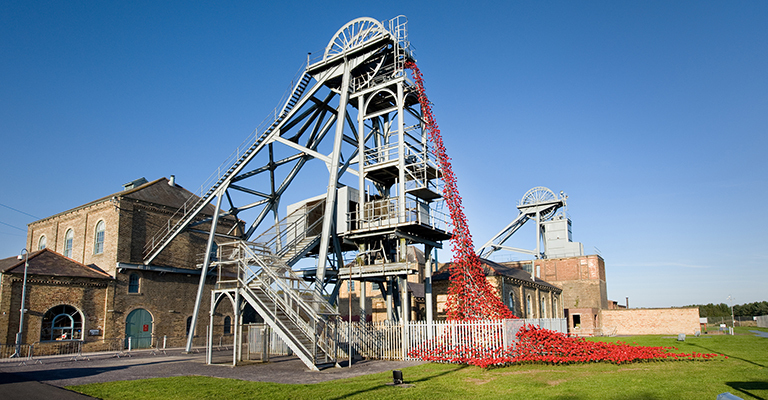 Woodhorn is a great attraction for the whole family with hands-on activities, an events programme and that all important cup of tea! 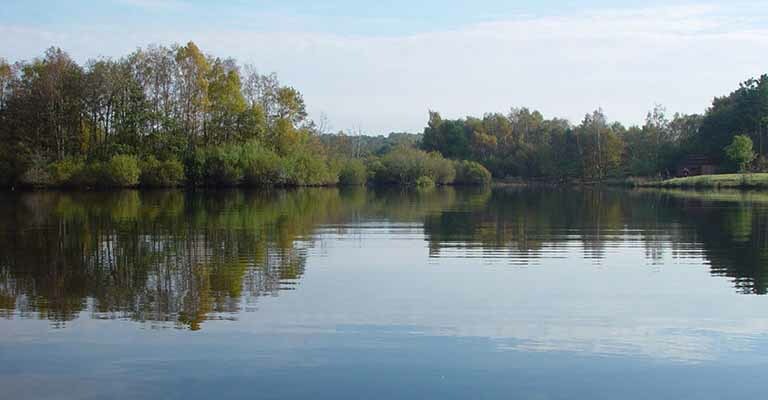 And don't forget the country park with its cycle route around the lake. 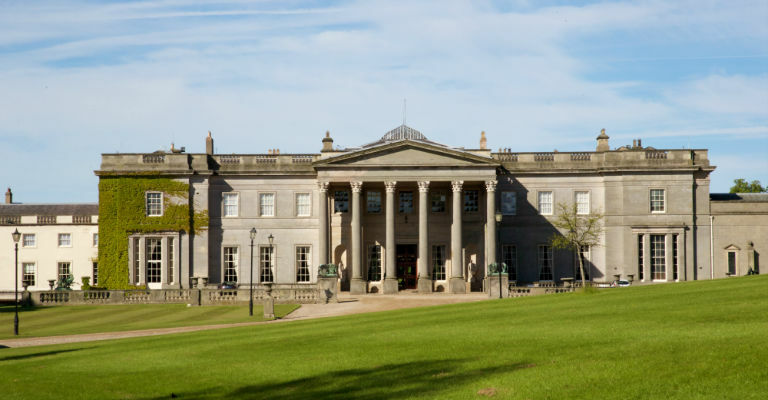 Open: See the Wynyard Hall website for exact opening times for various facilities.